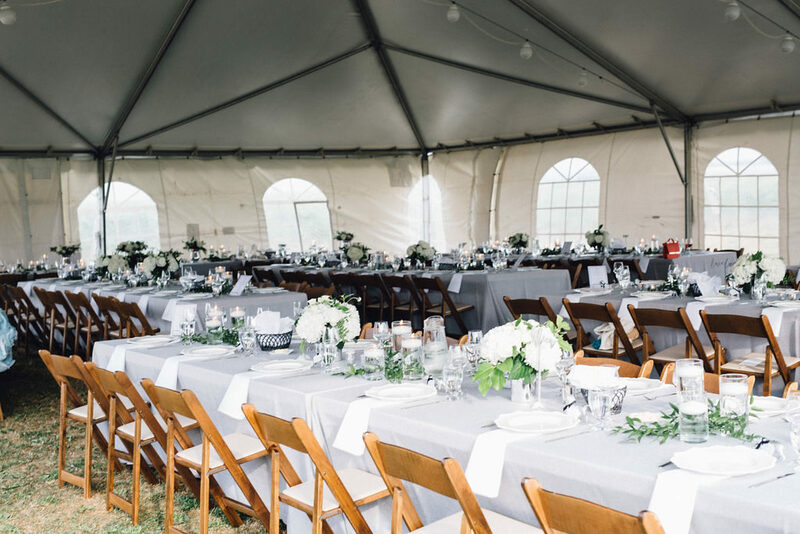 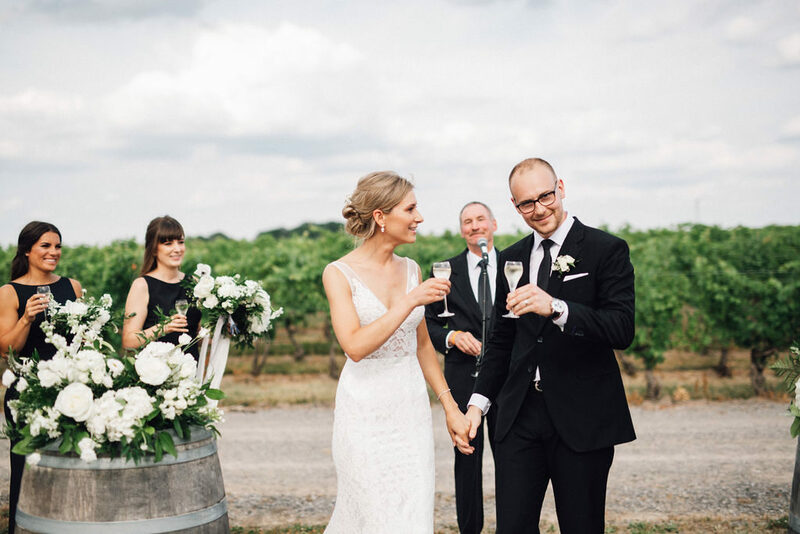 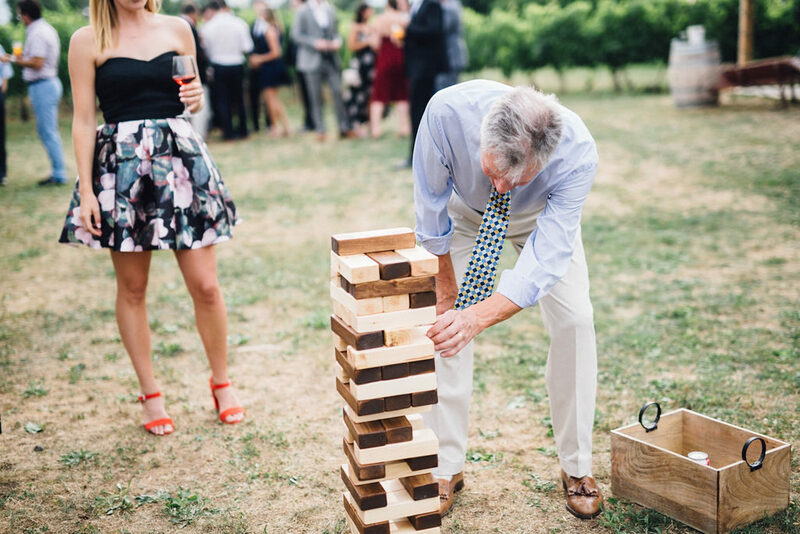 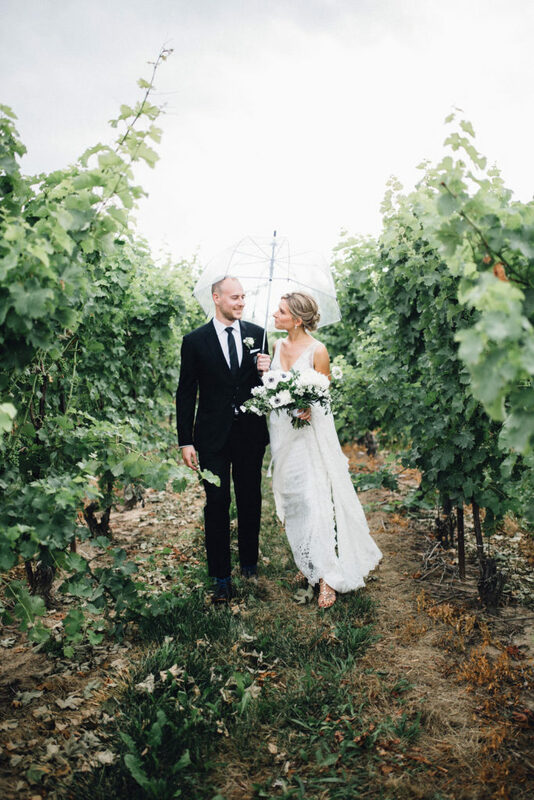 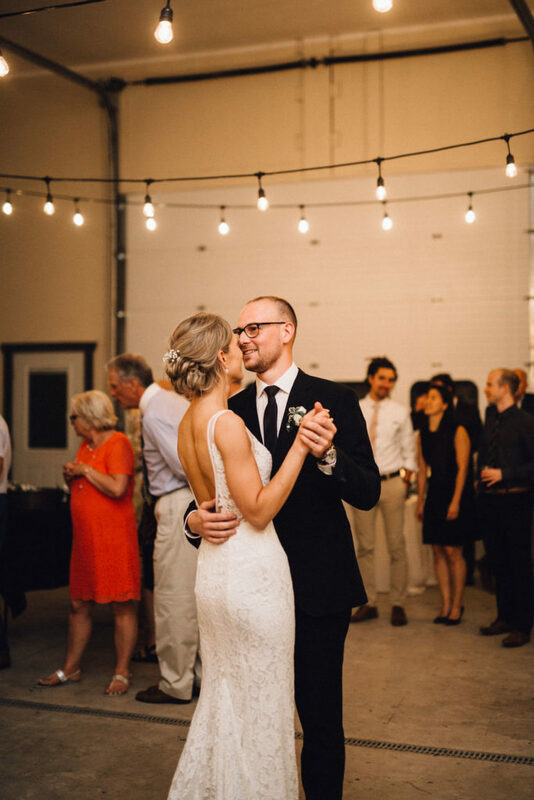 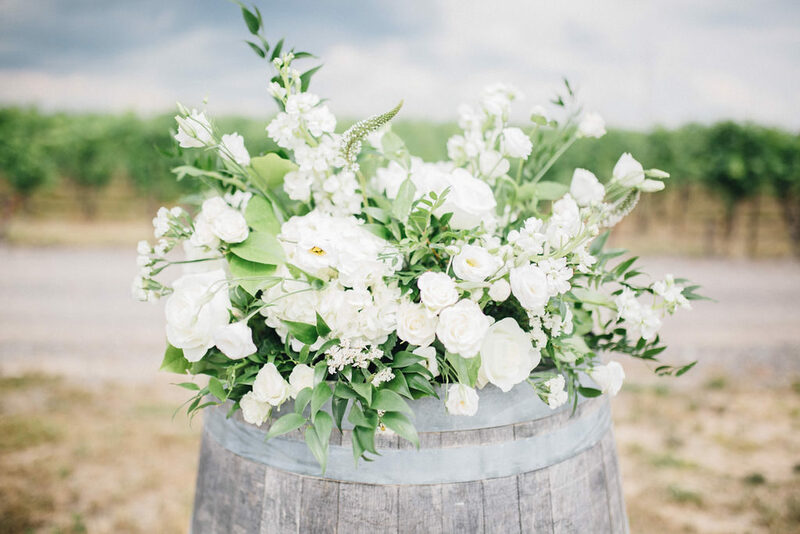 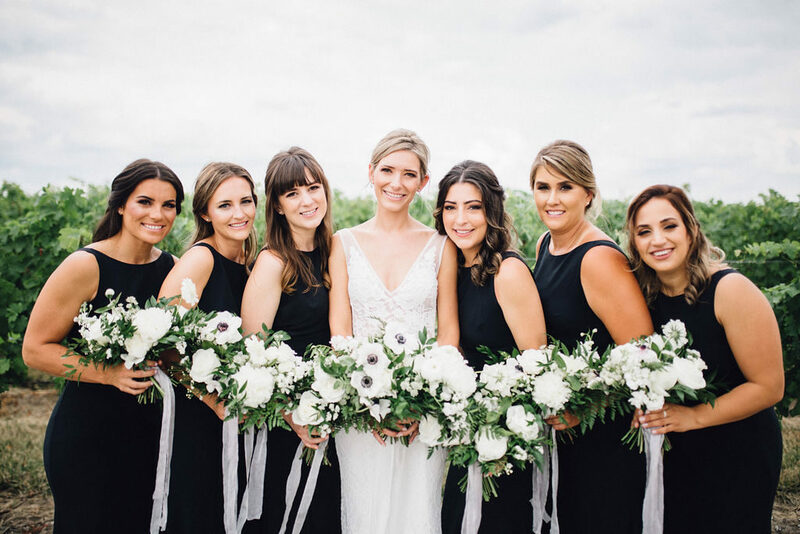 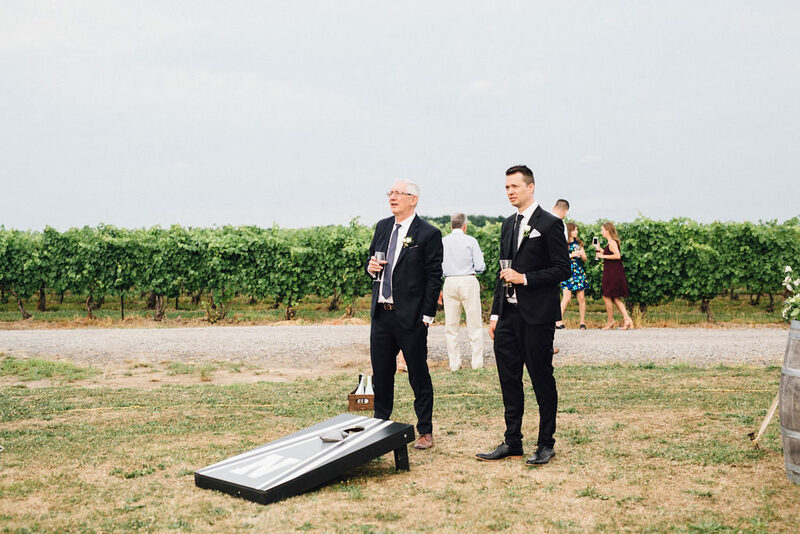 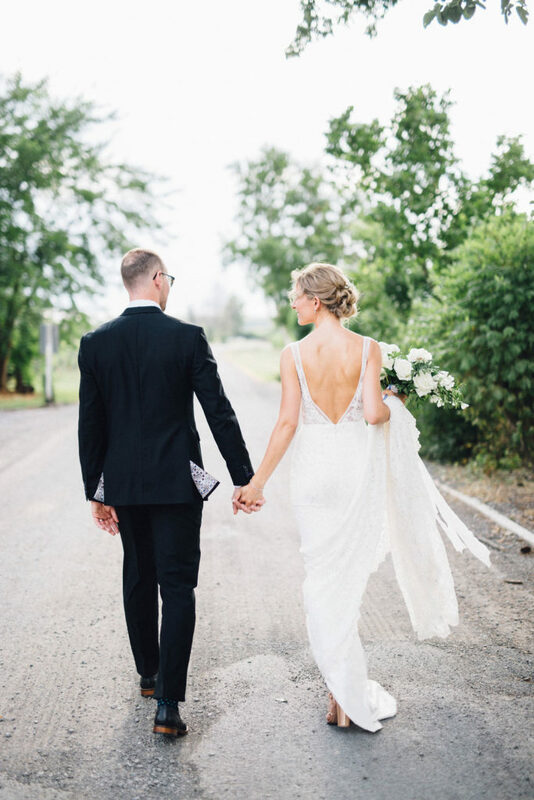 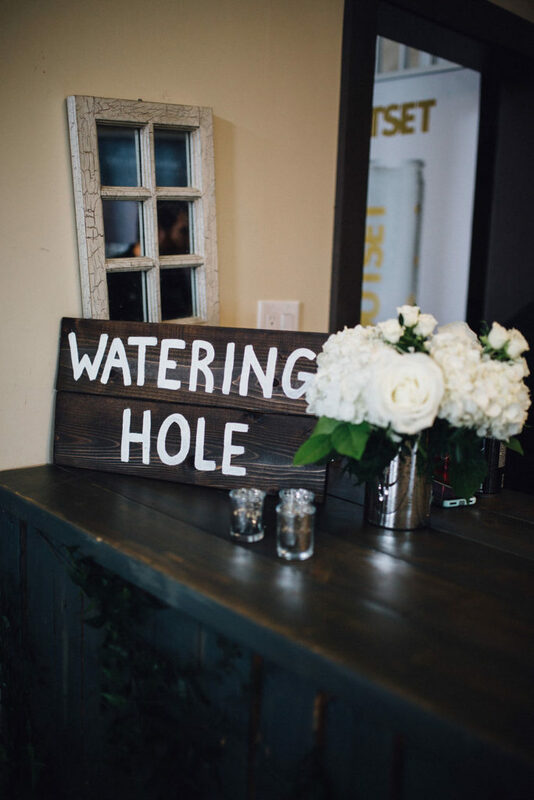 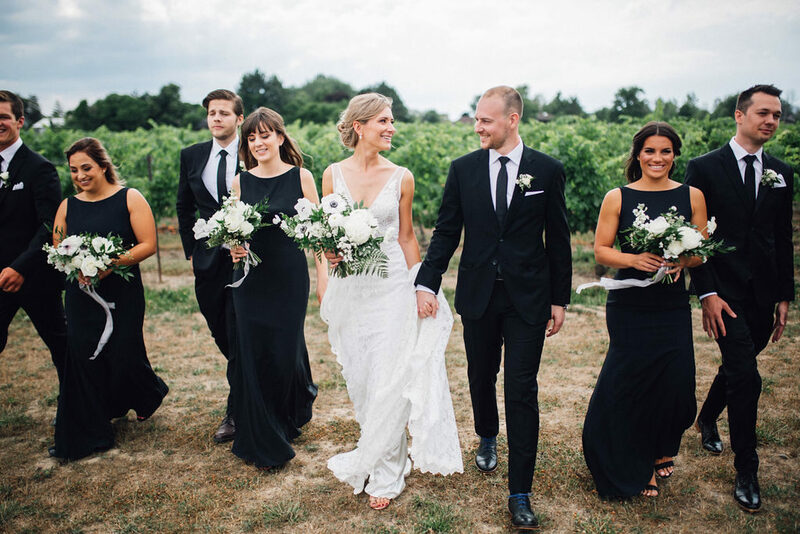 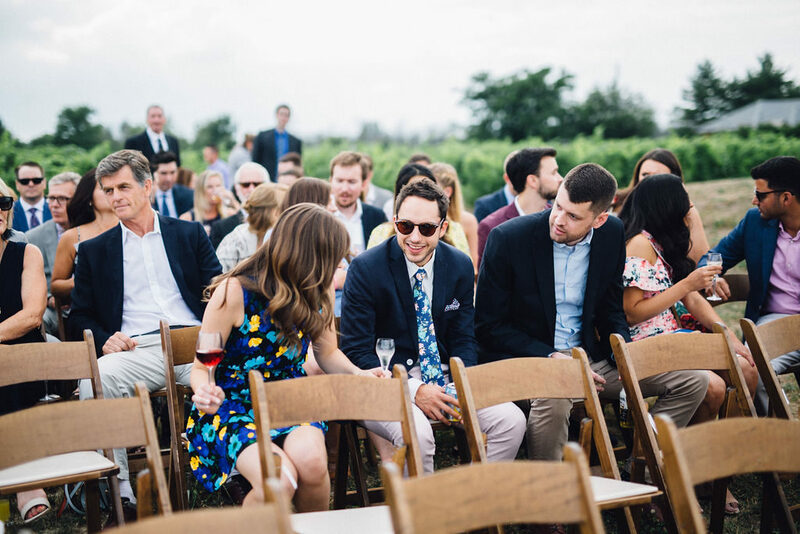 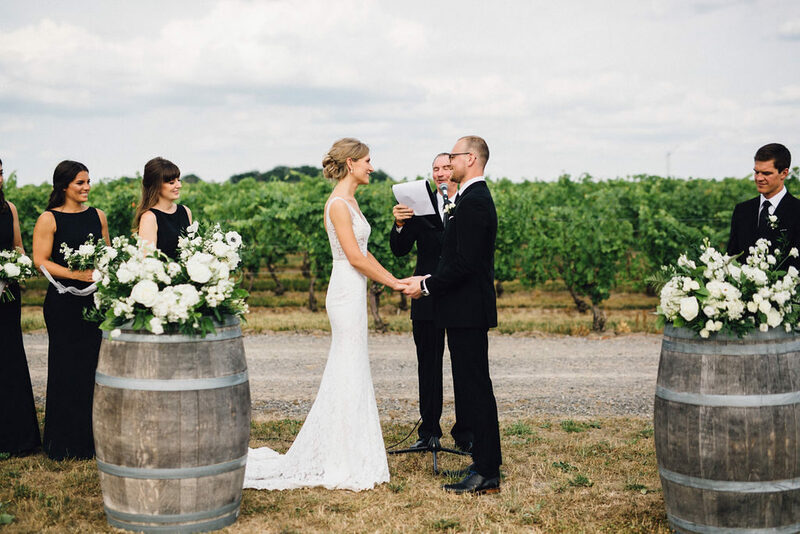 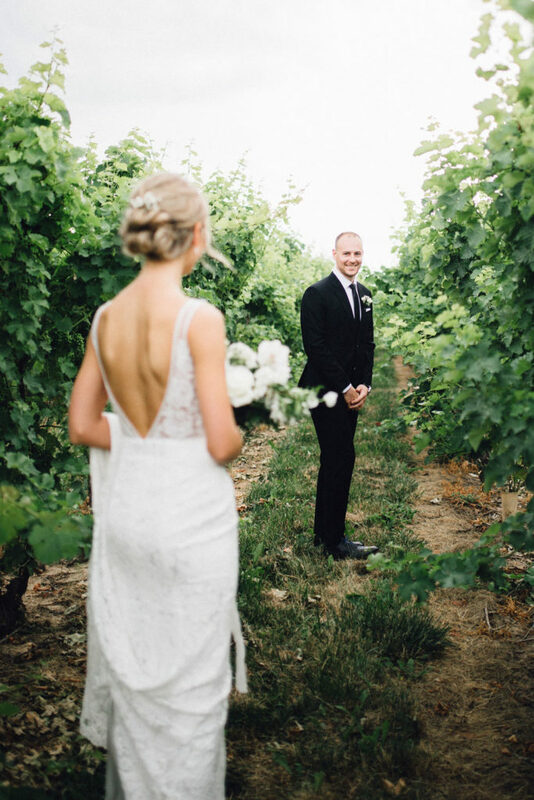 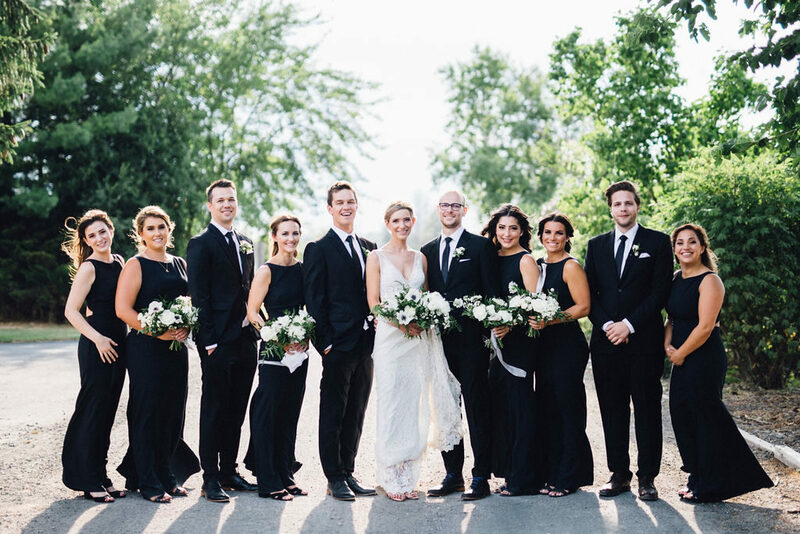 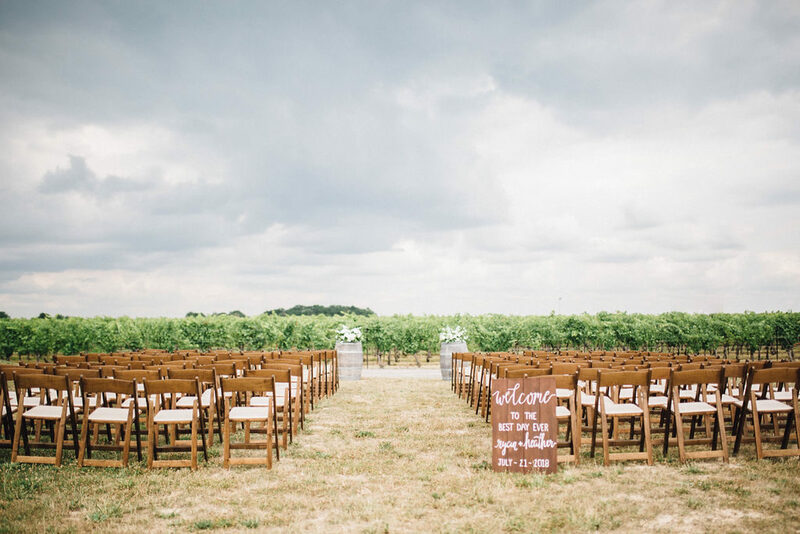 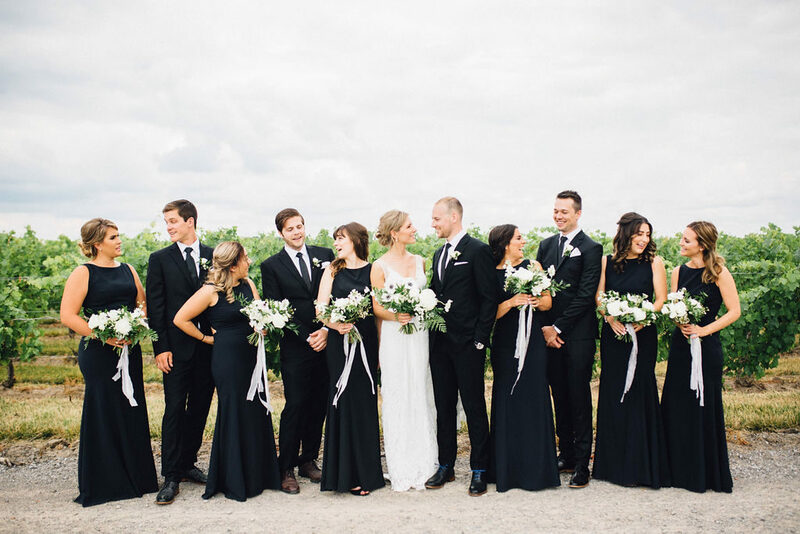 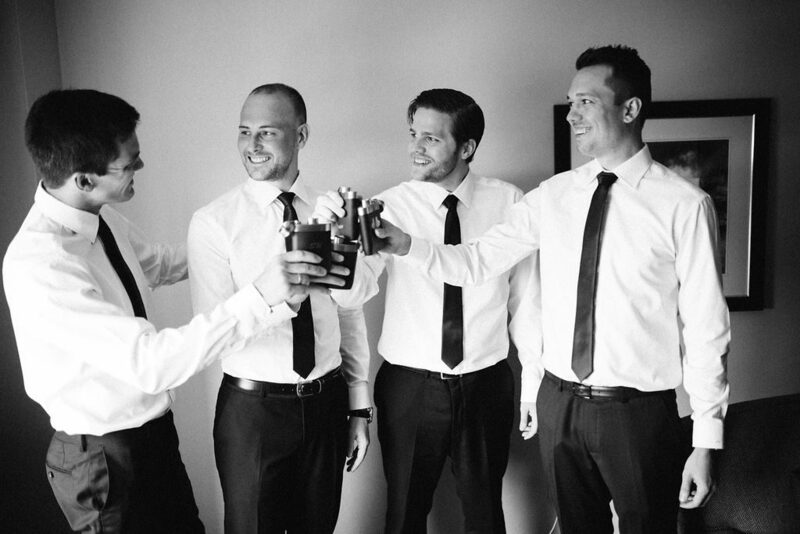 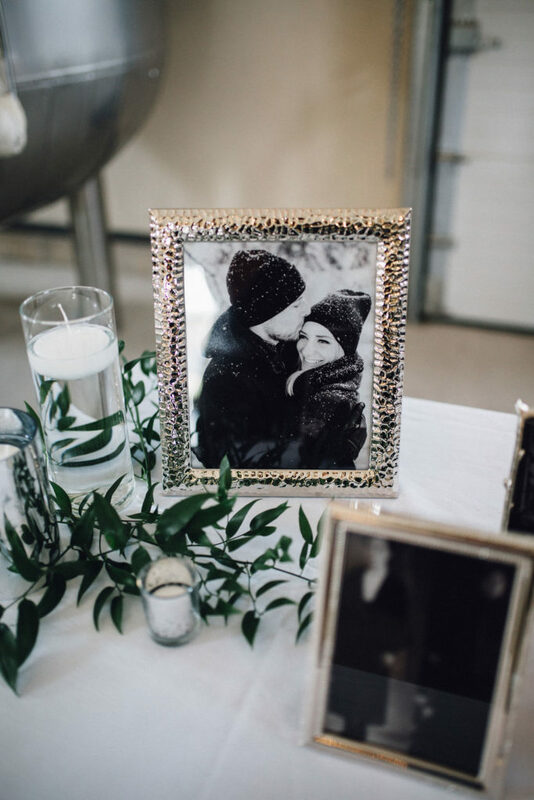 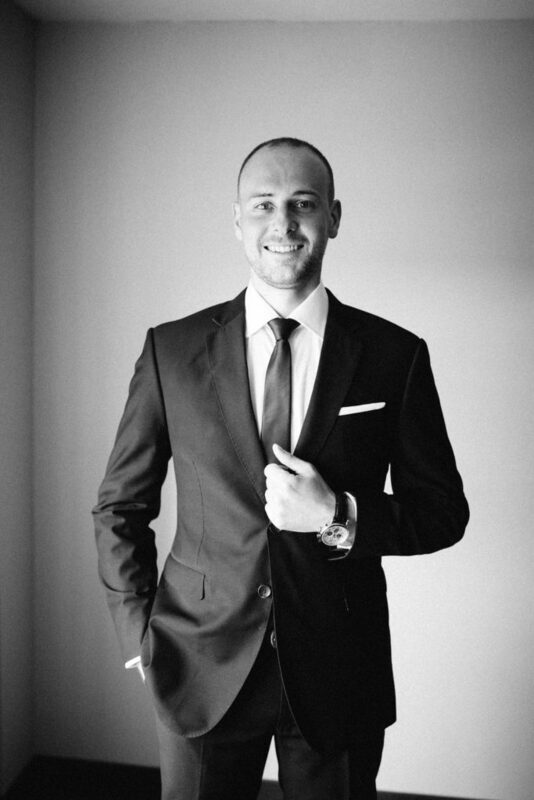 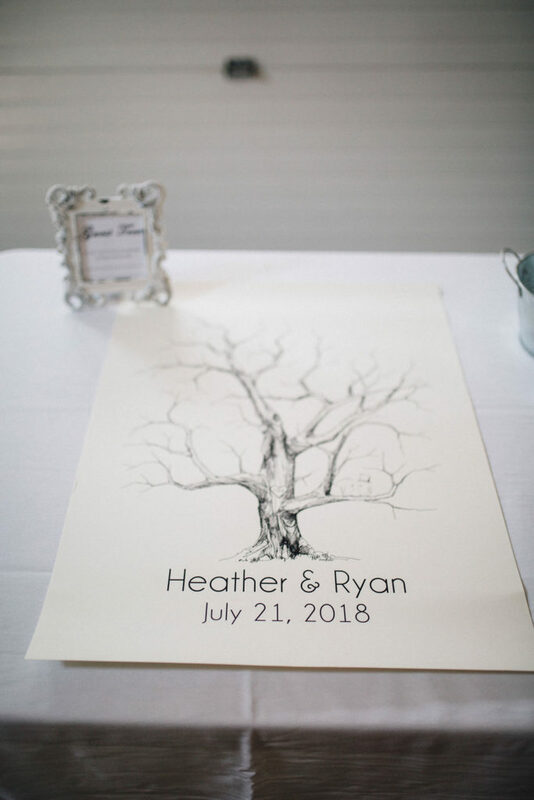 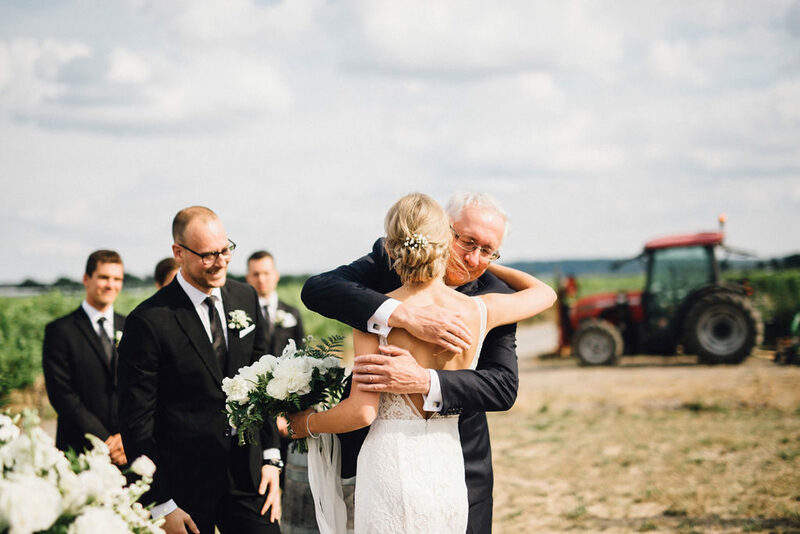 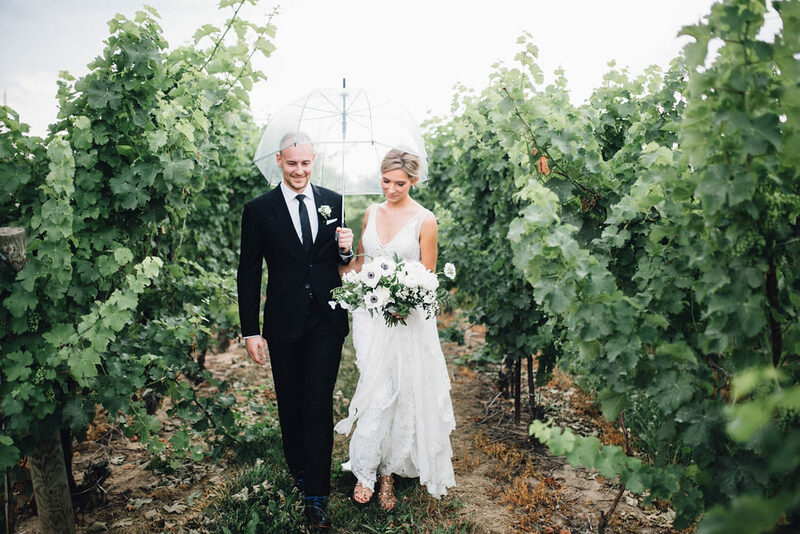 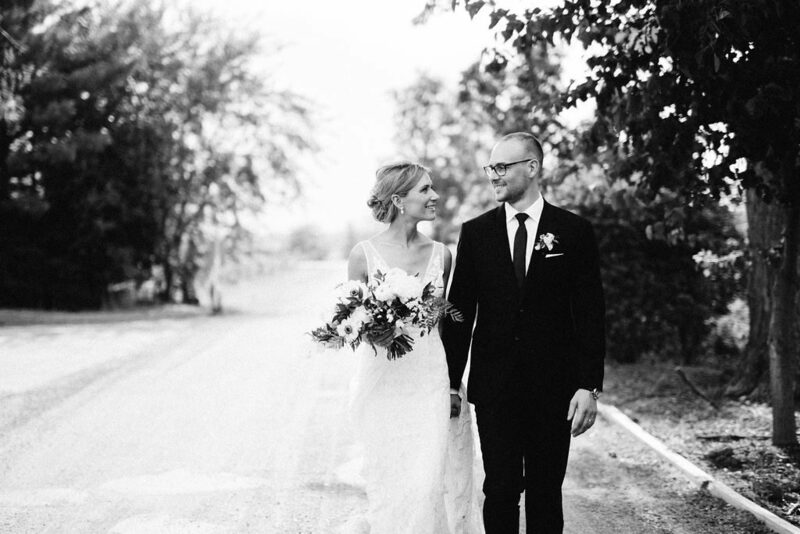 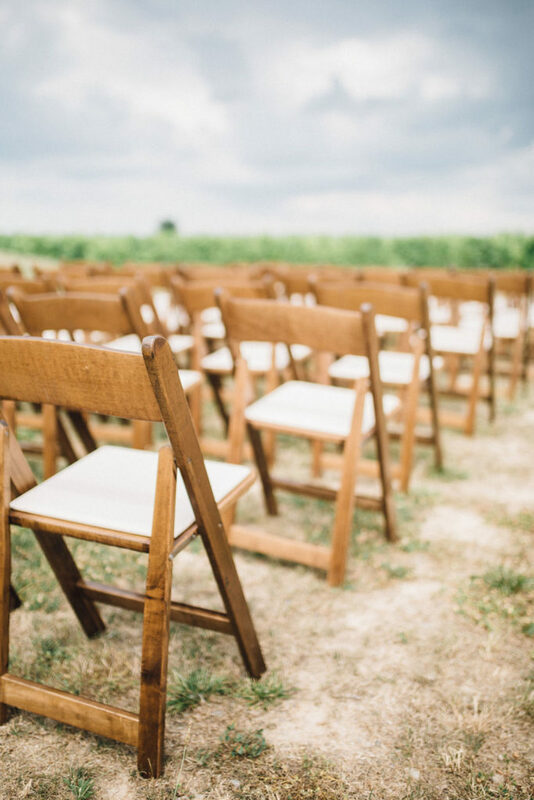 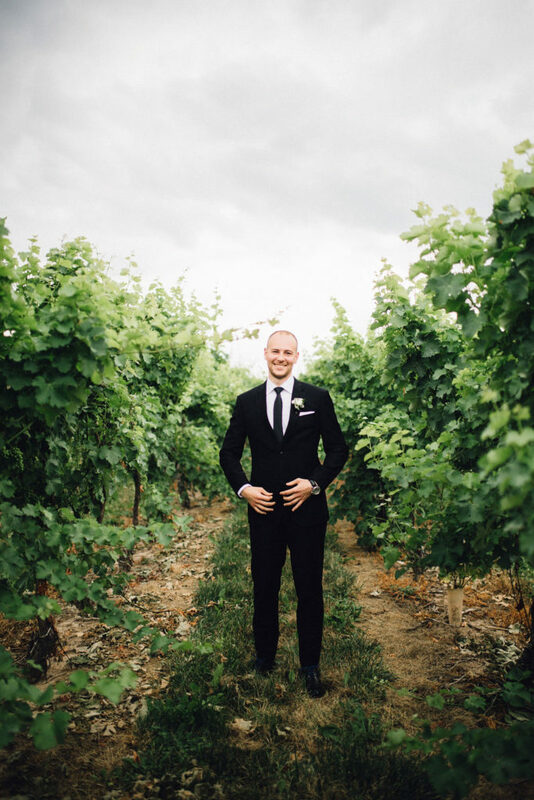 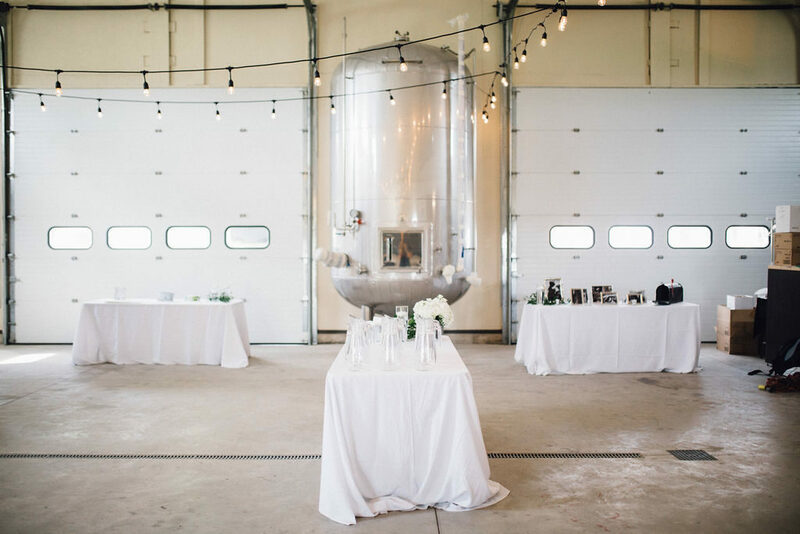 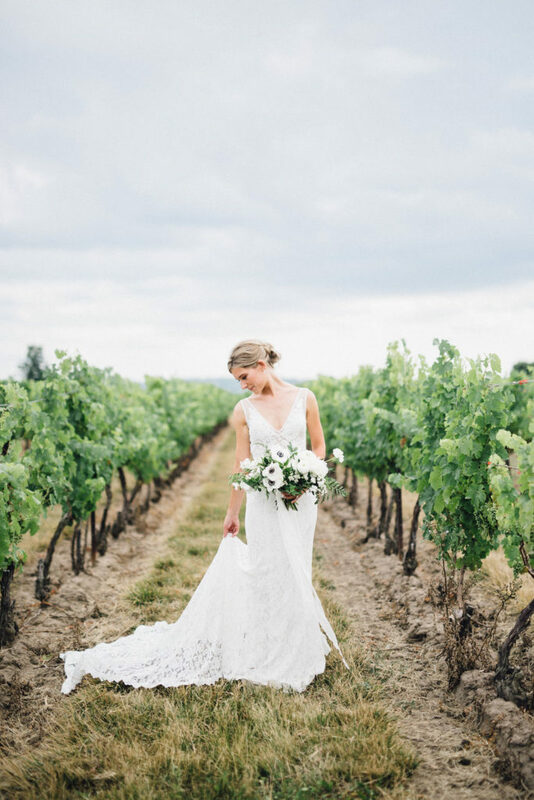 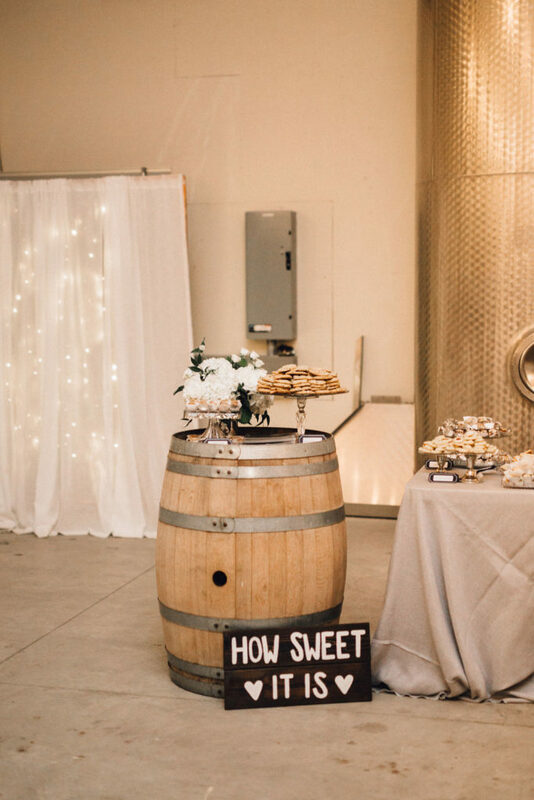 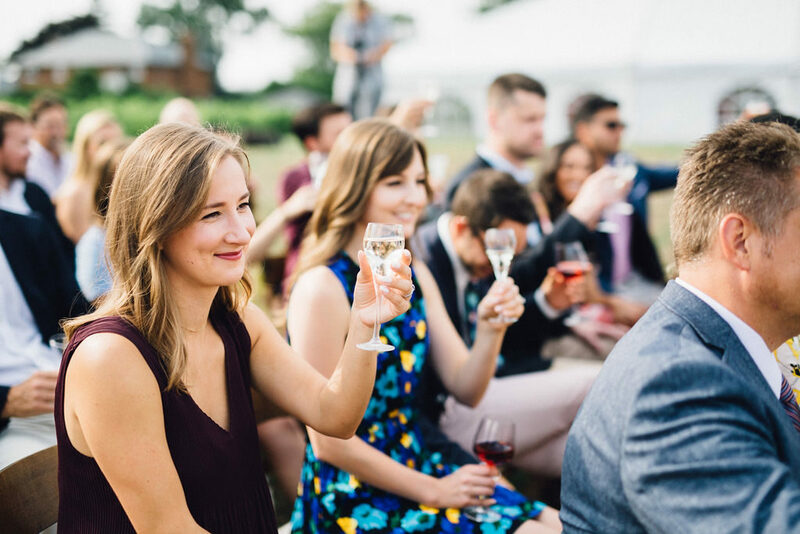 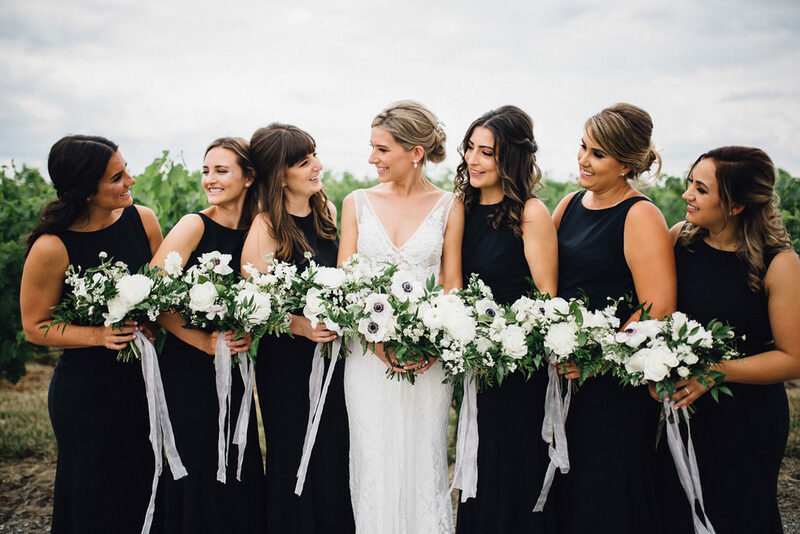 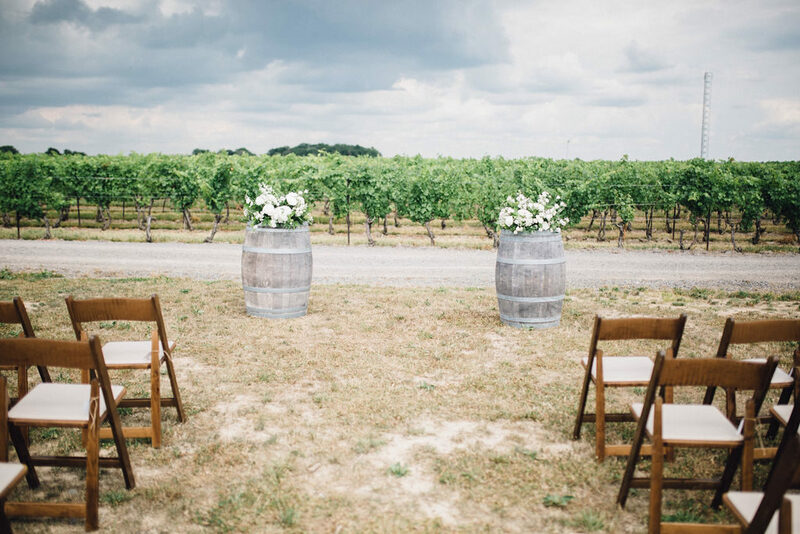 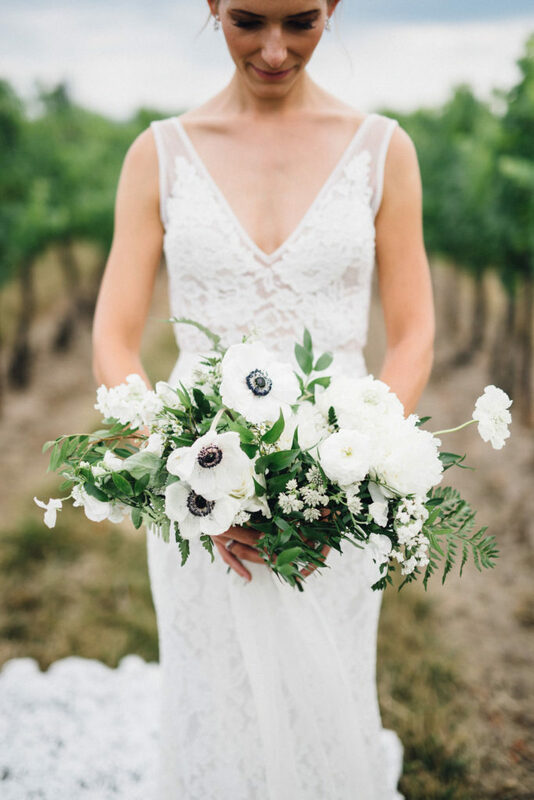 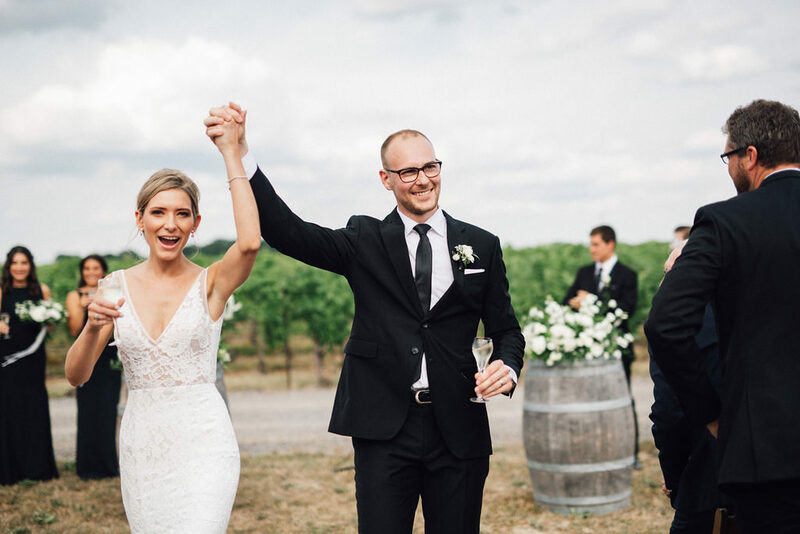 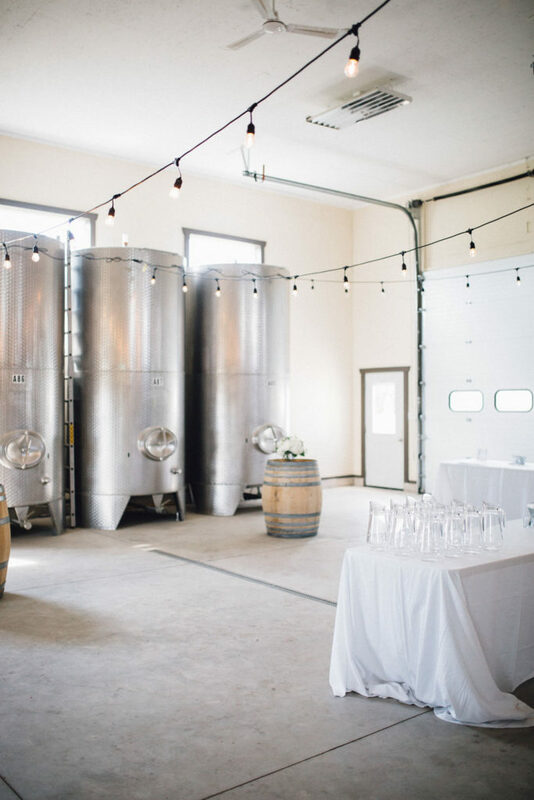 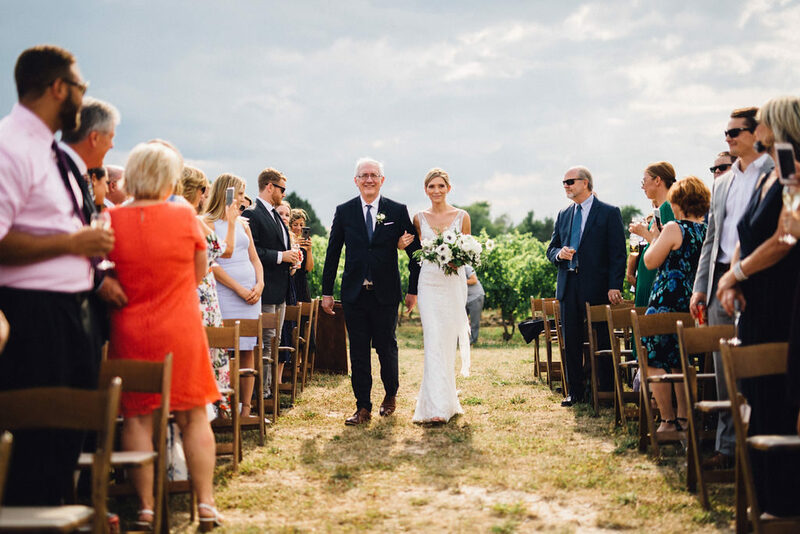 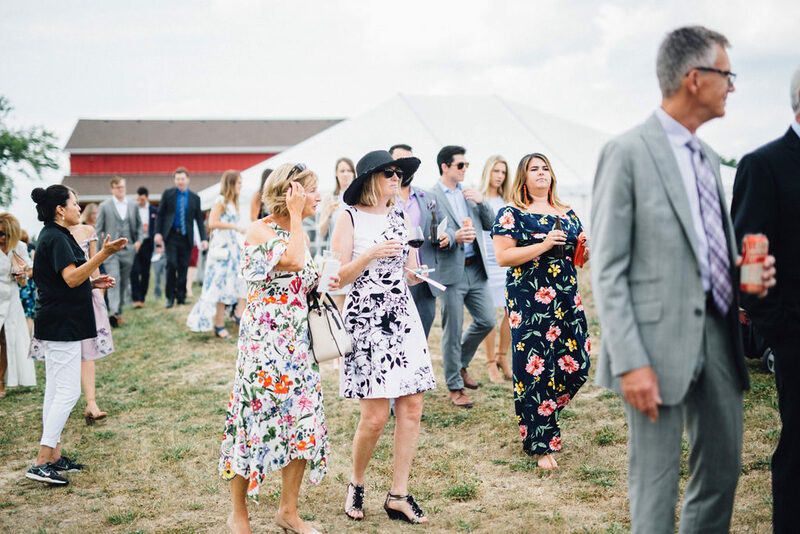 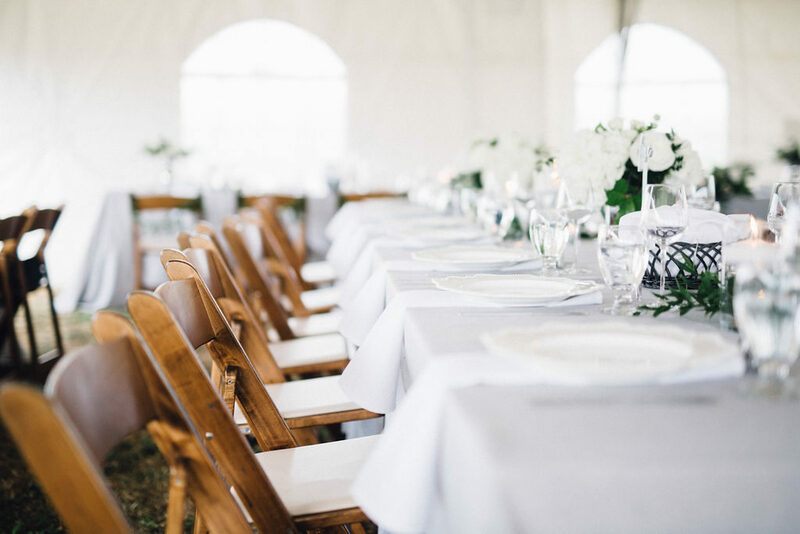 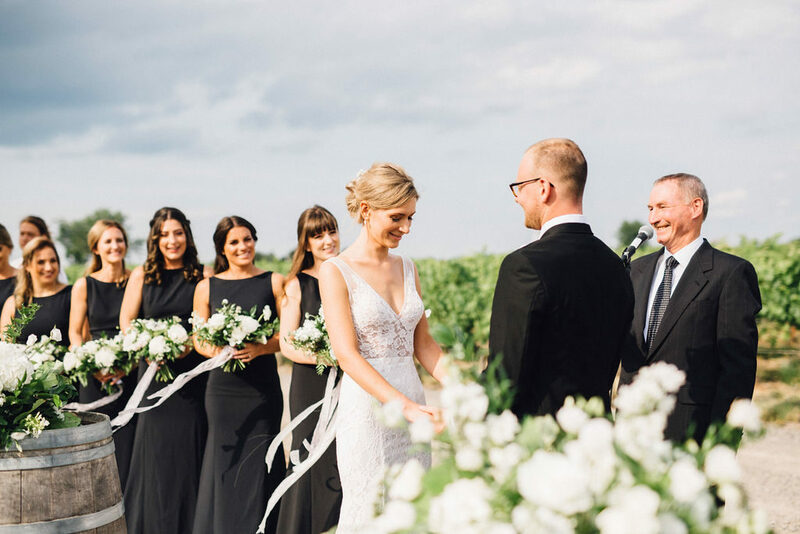 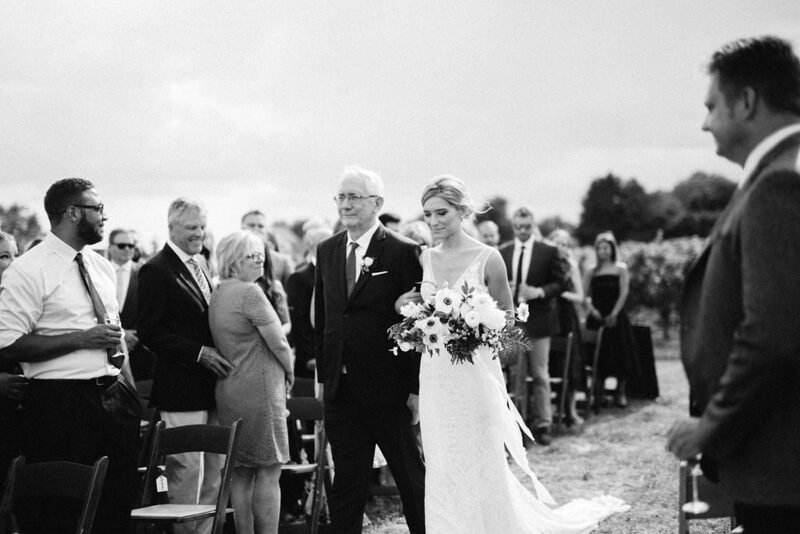 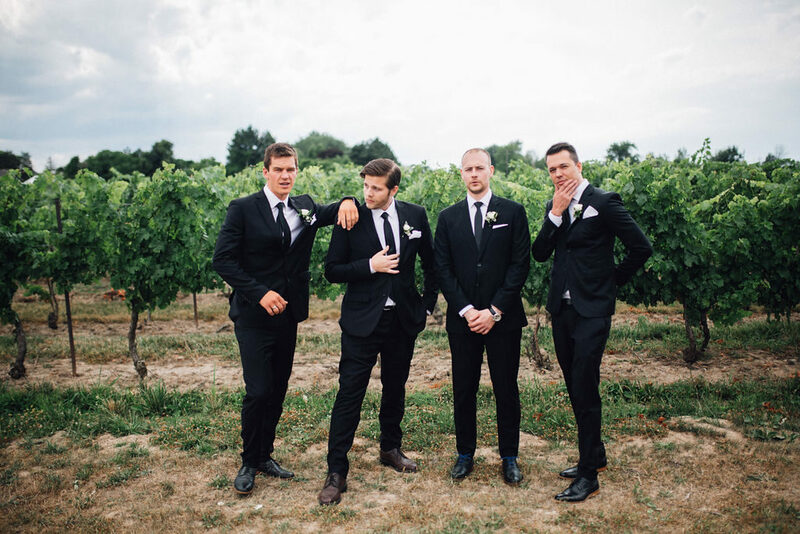 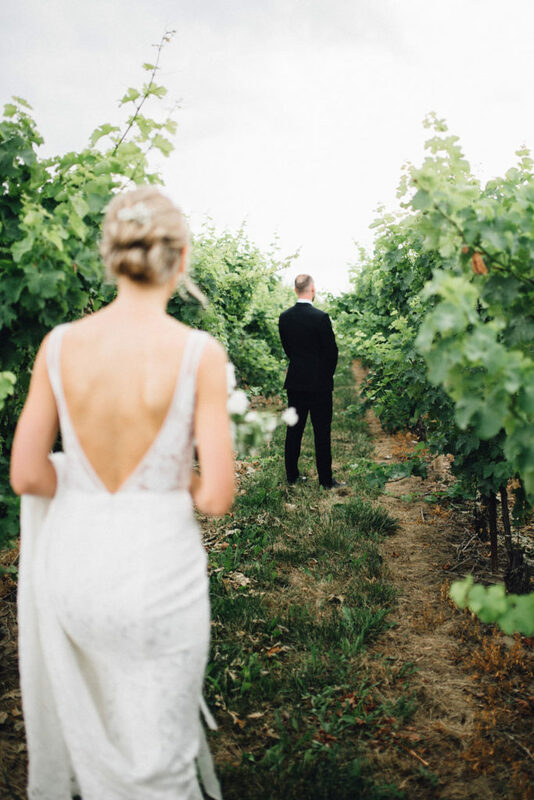 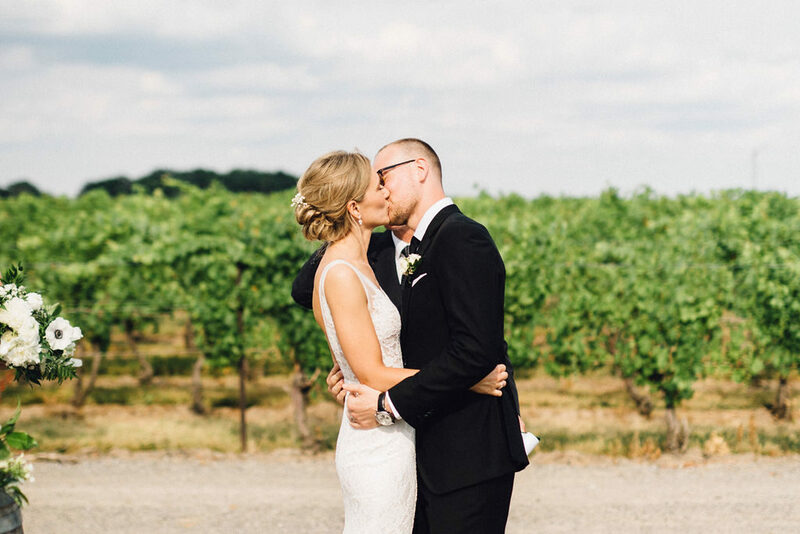 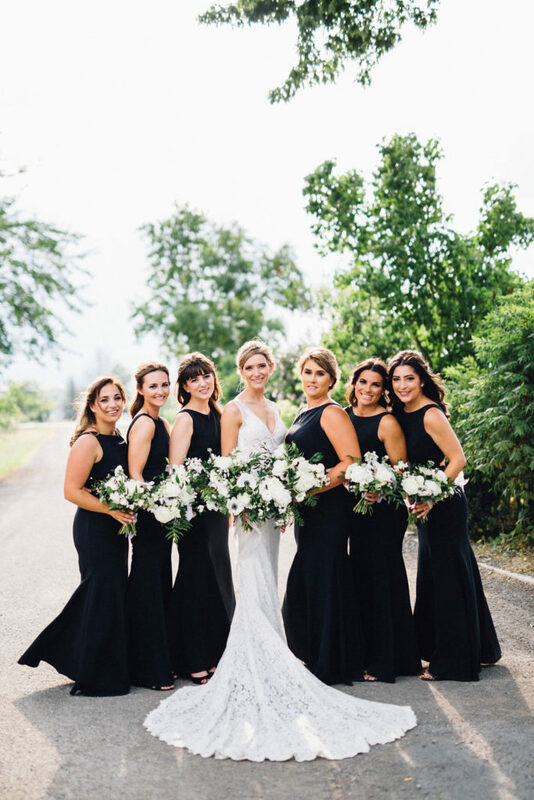 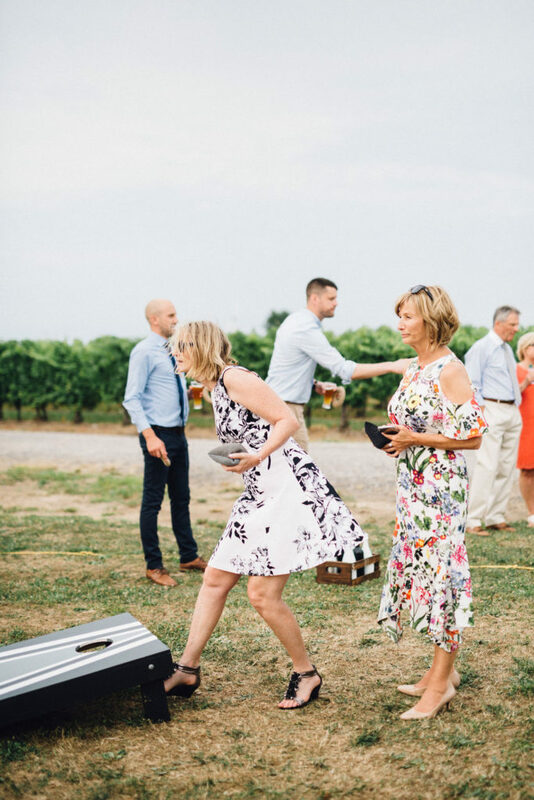 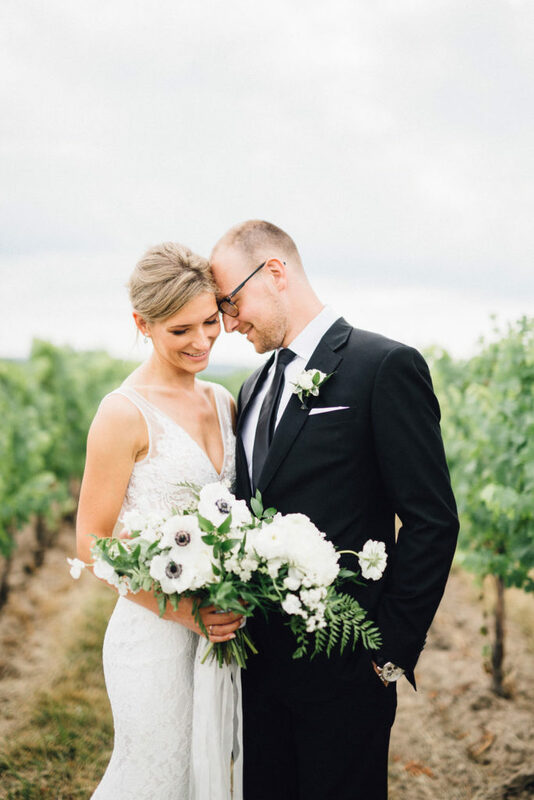 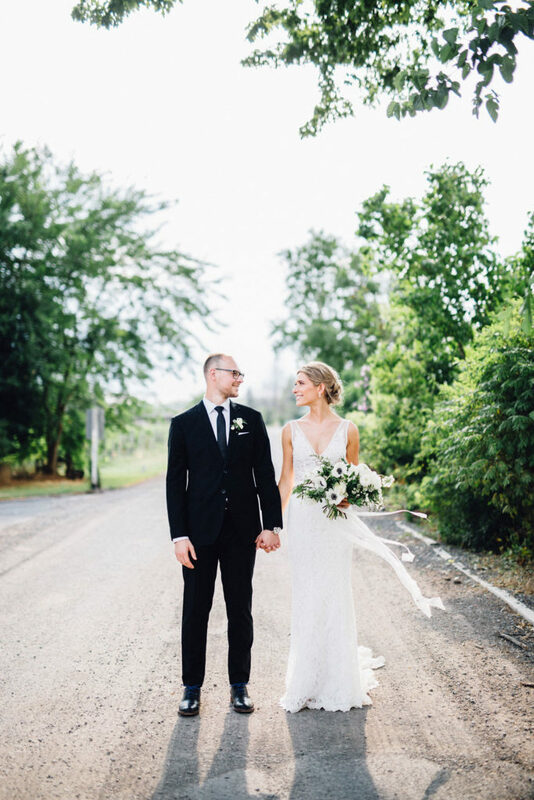 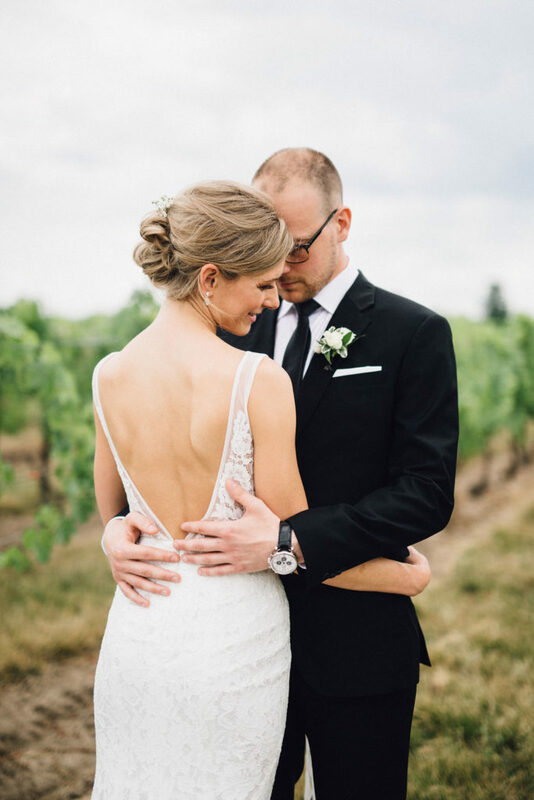 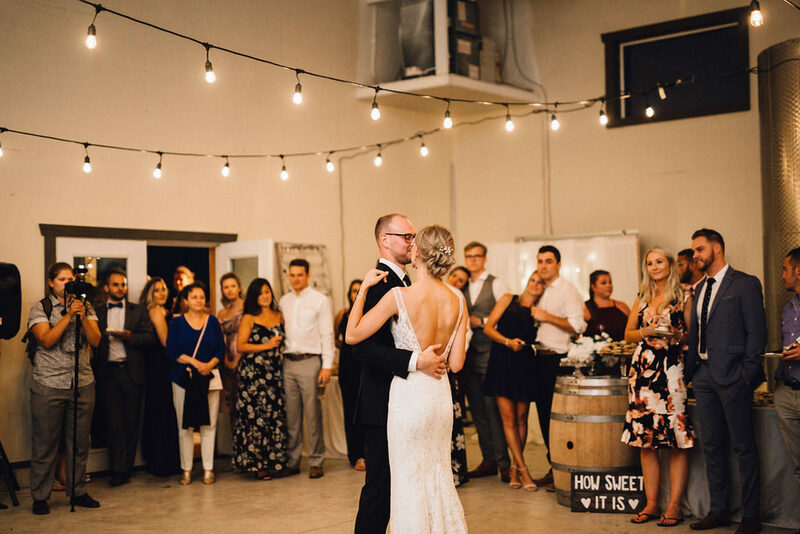 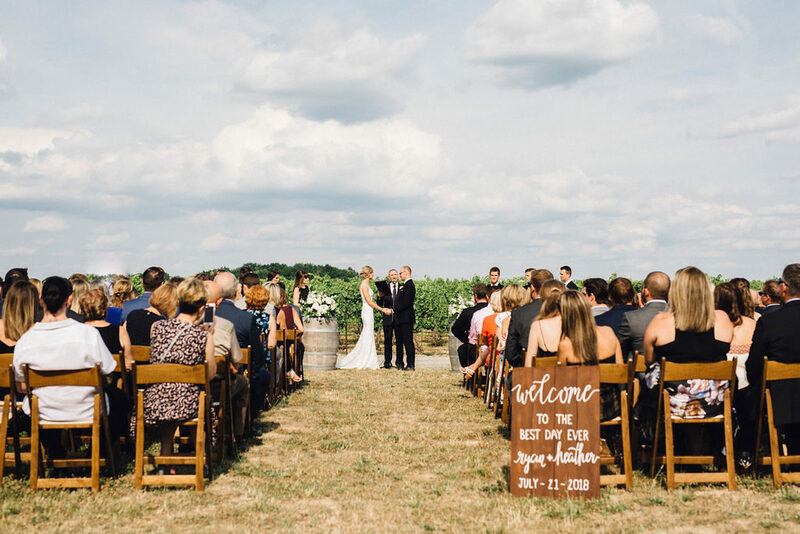 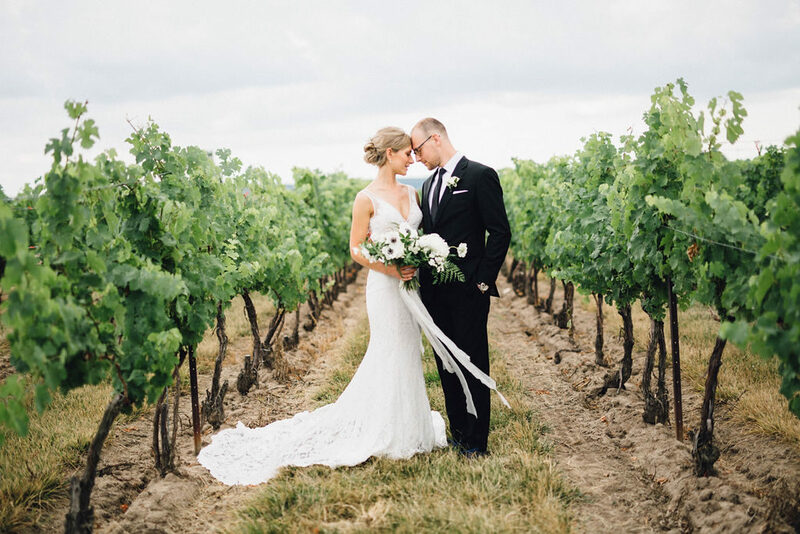 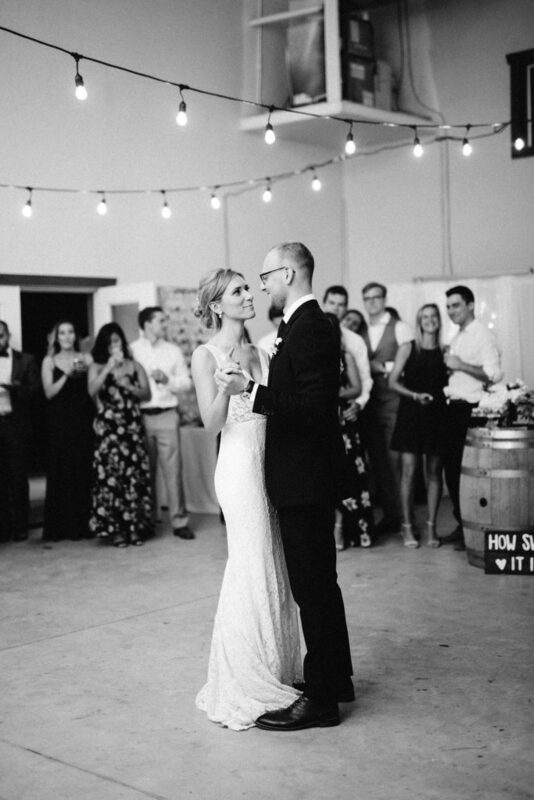 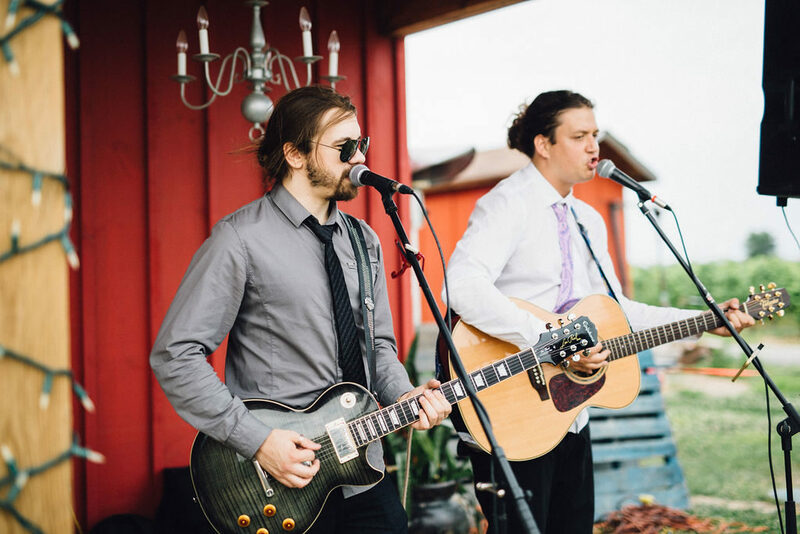 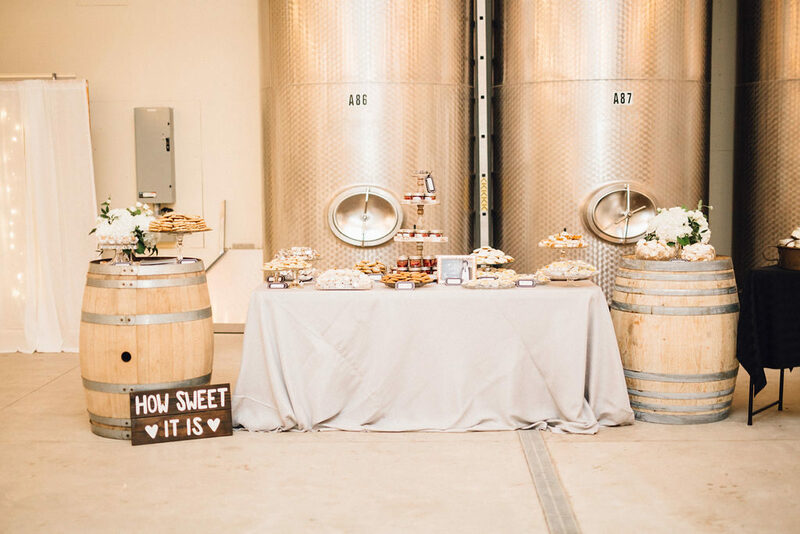 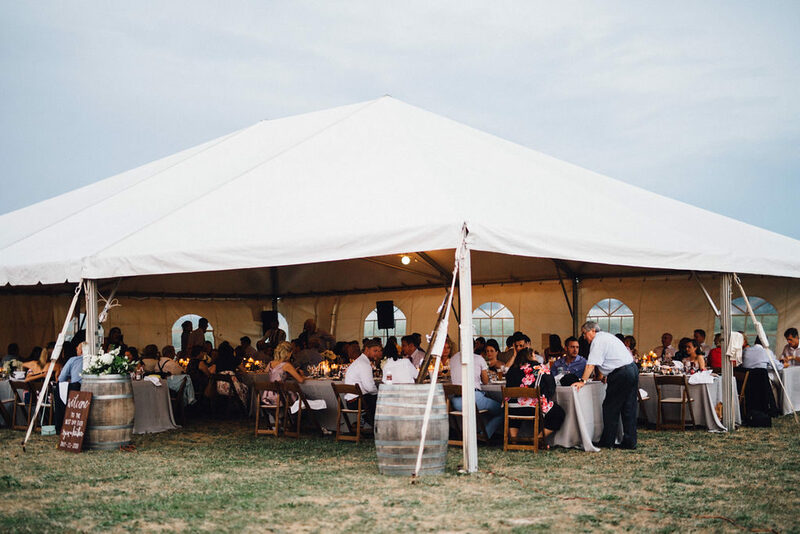 Heather & Ryan’s wedding took place at one of Niagara-on-the-Lake’s beautiful vineyards – Between the Lines Winery. 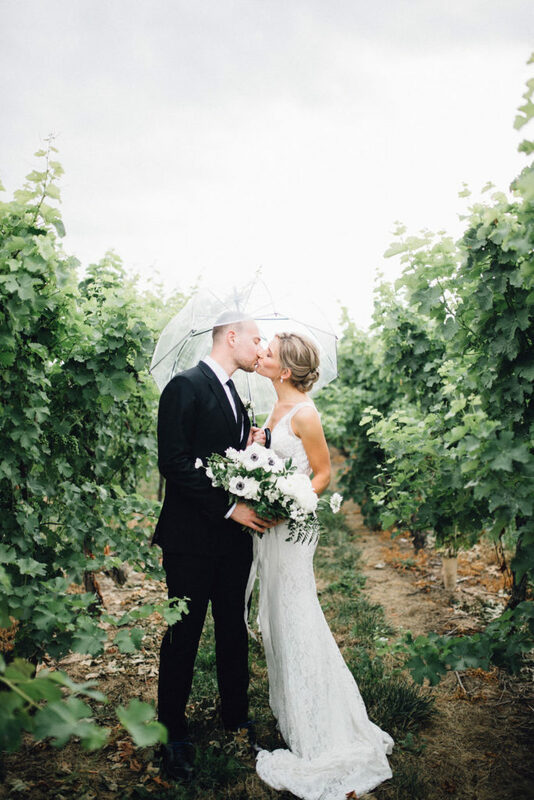 A touch of rain came down just as they were about to do their first look which made for the most romantic photos. 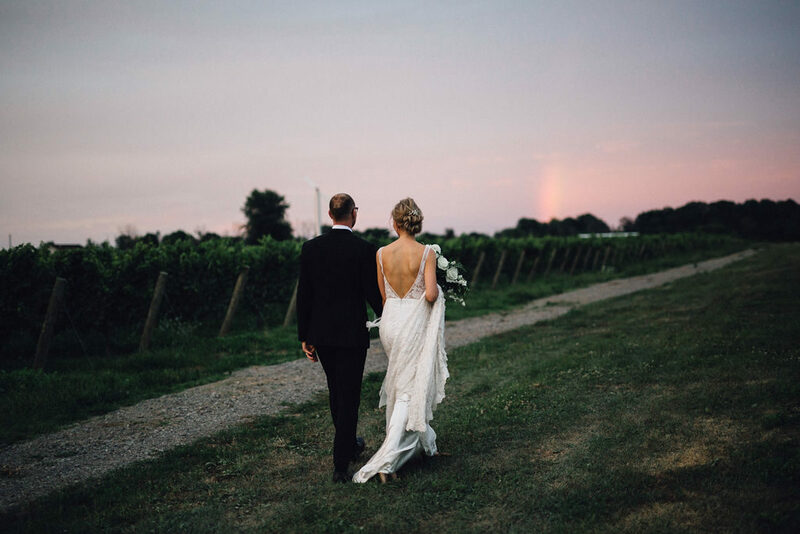 However the rain quickly passed and the skies opened up into a sunny and warm day – and later in the evening, a beautiful sunset. 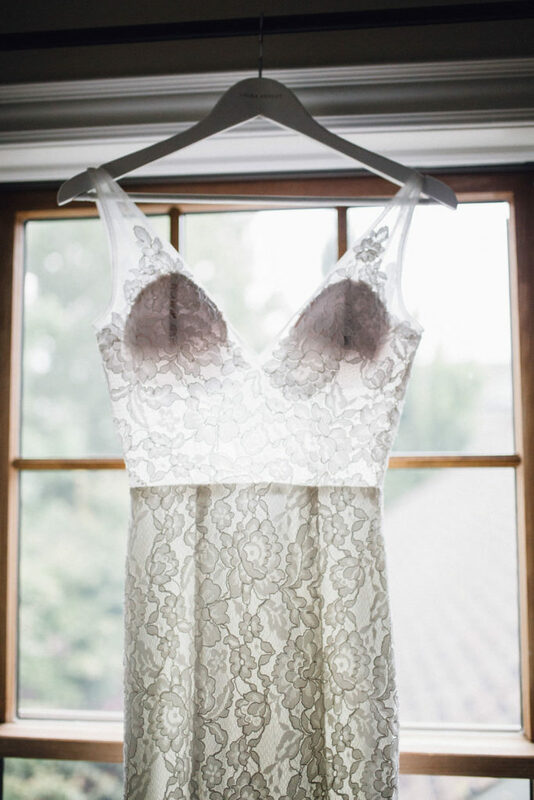 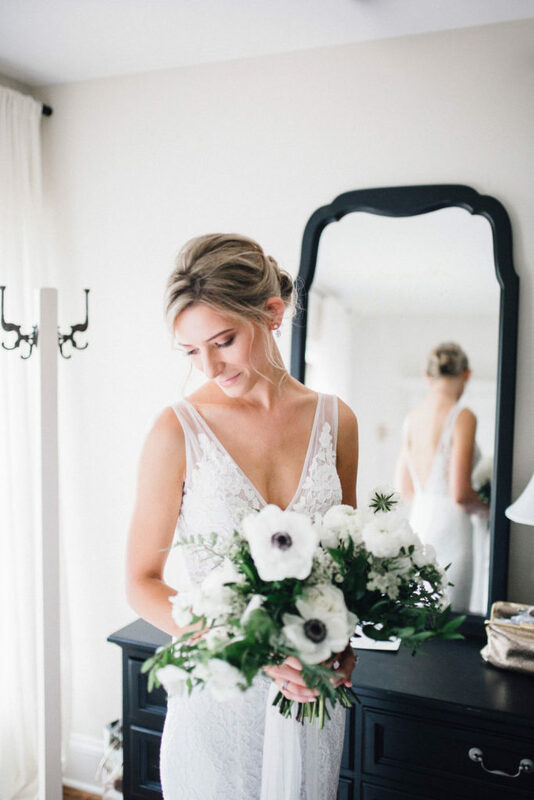 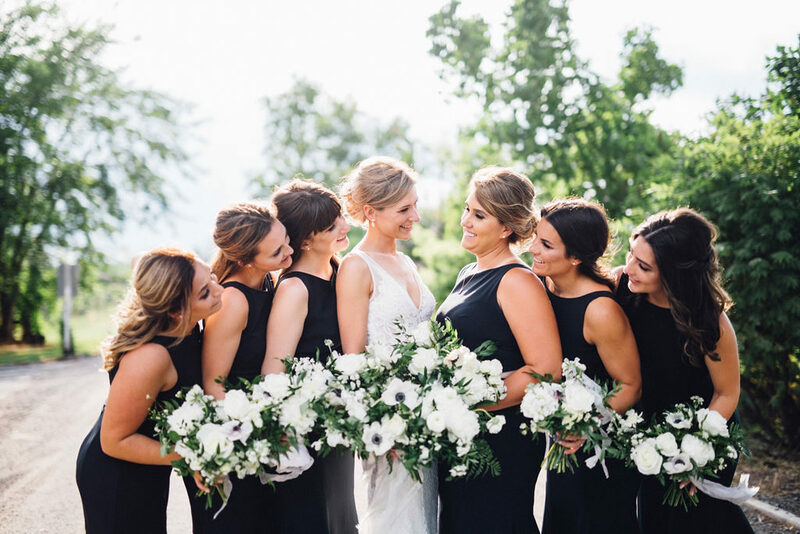 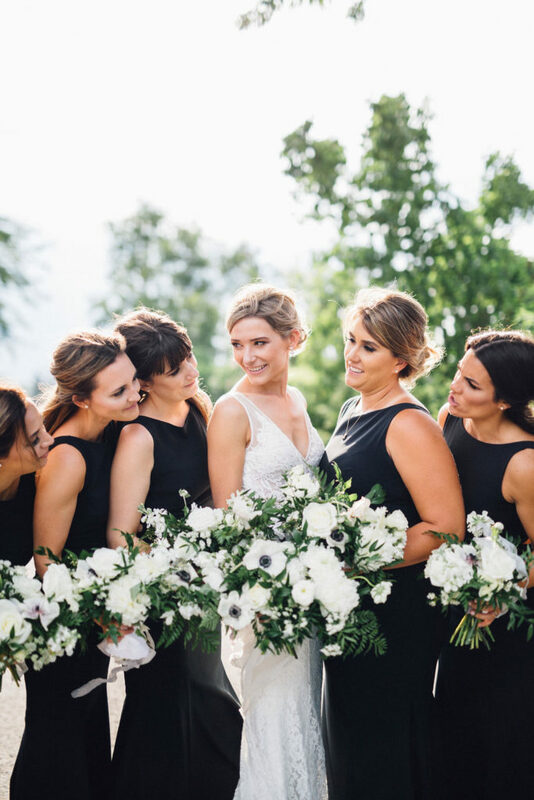 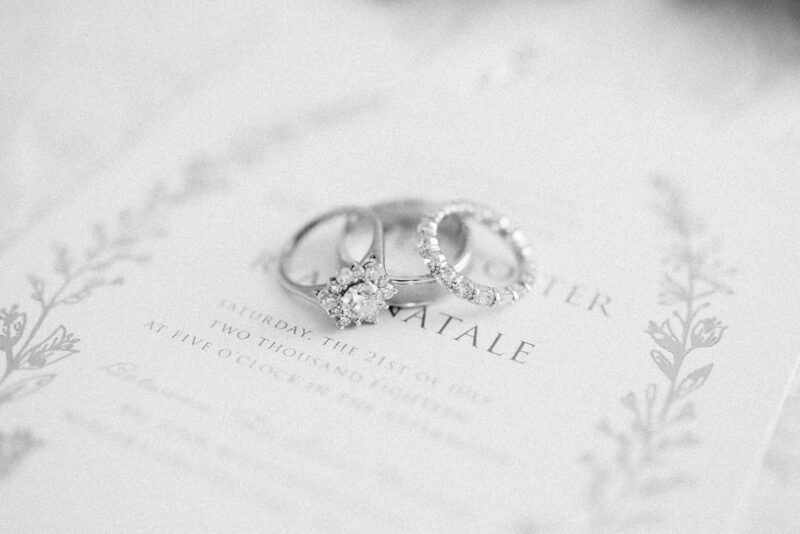 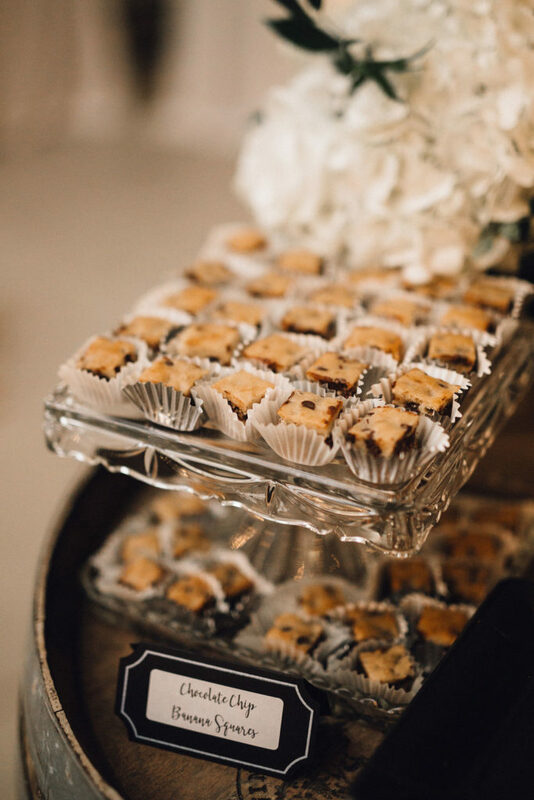 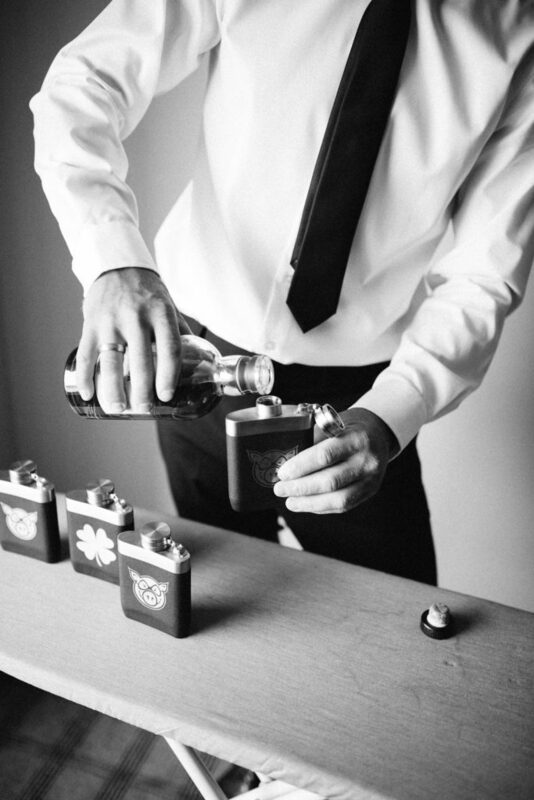 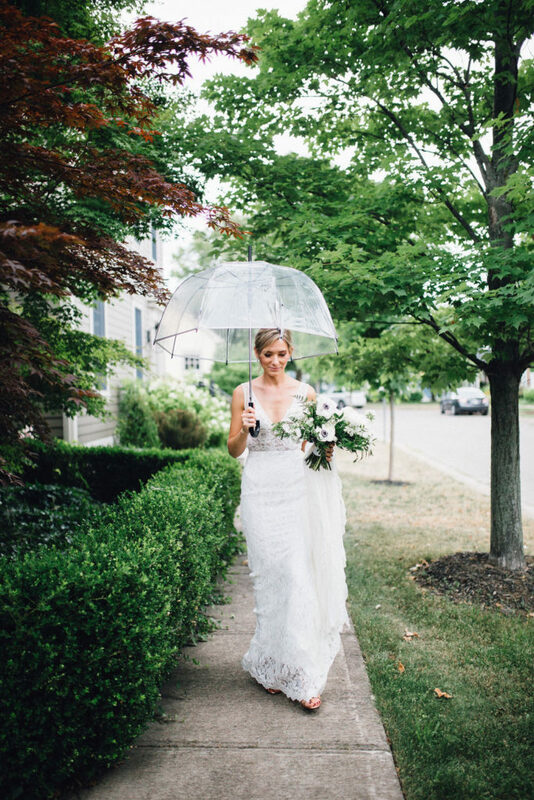 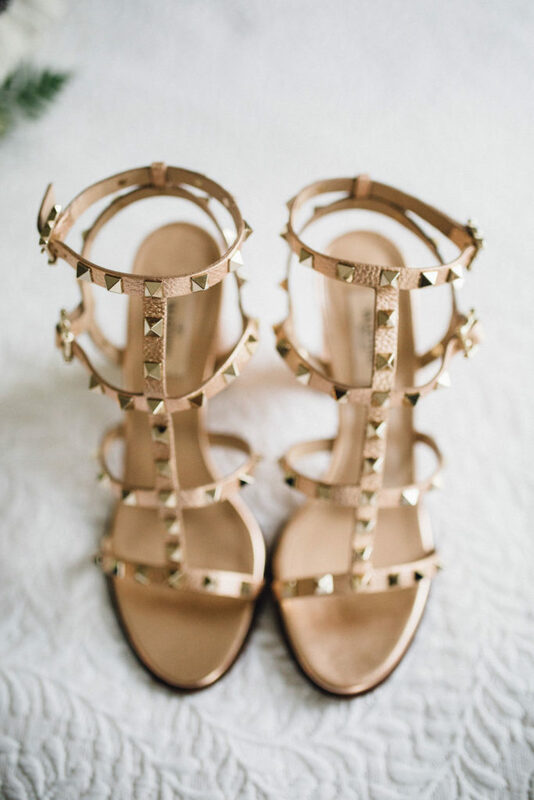 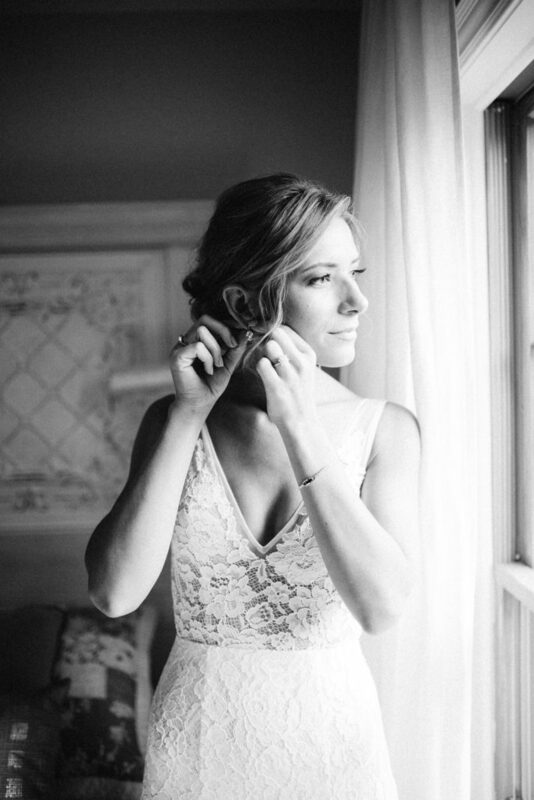 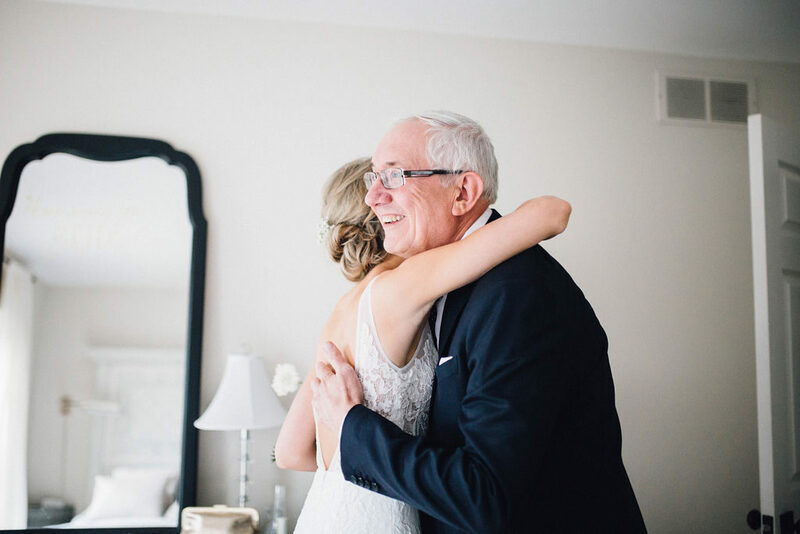 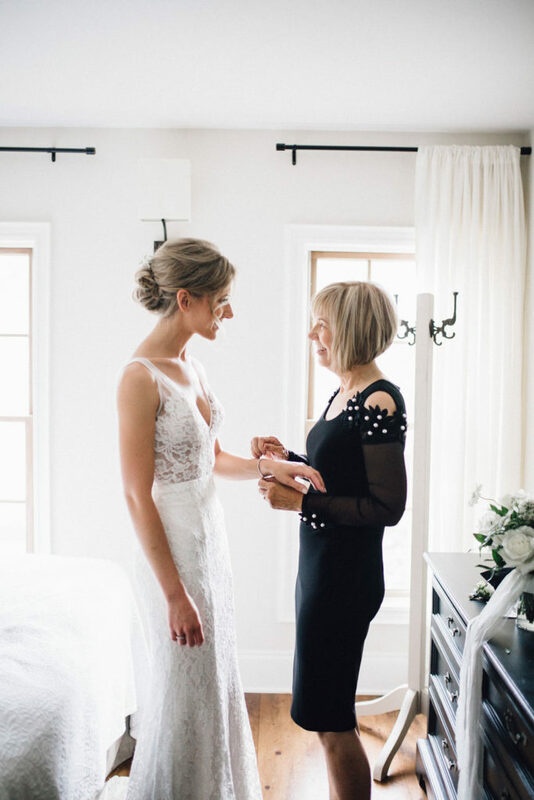 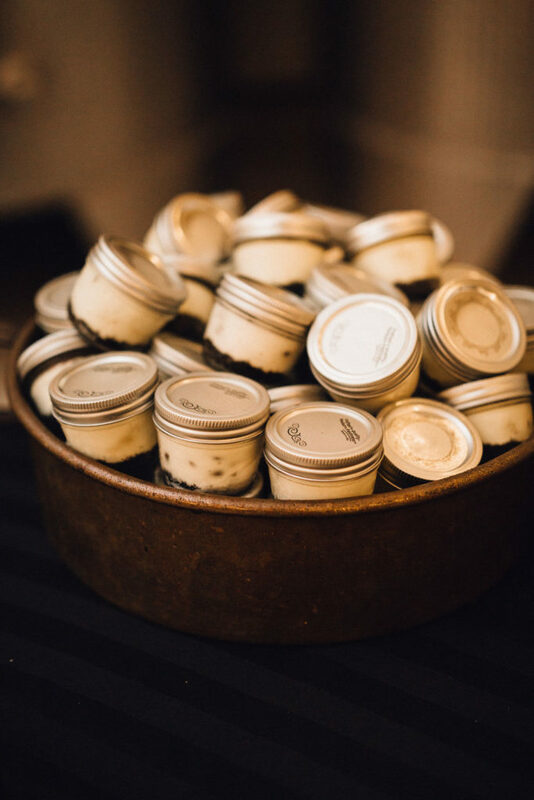 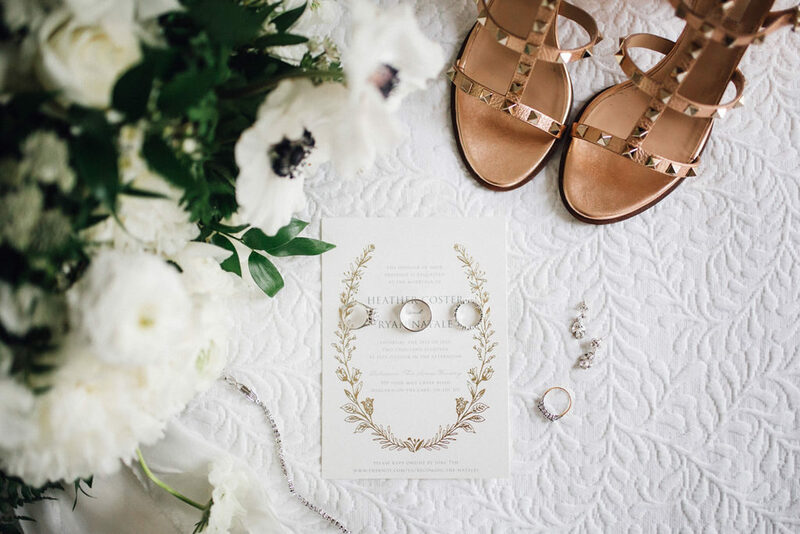 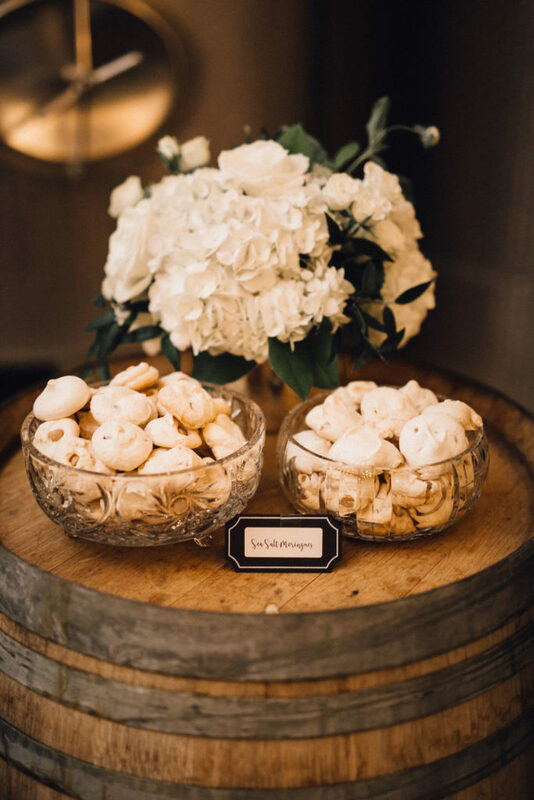 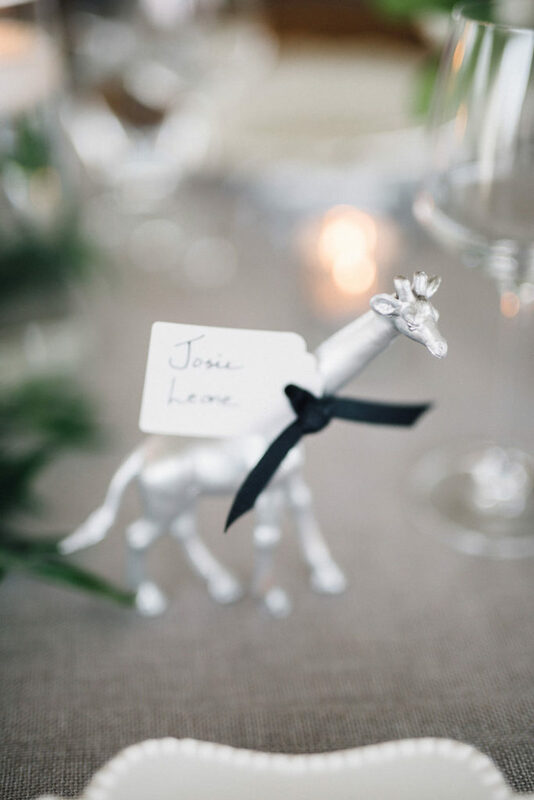 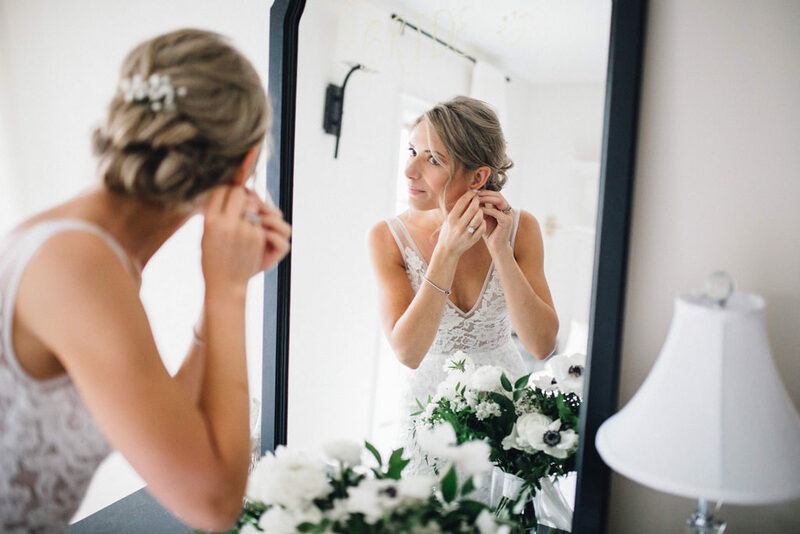 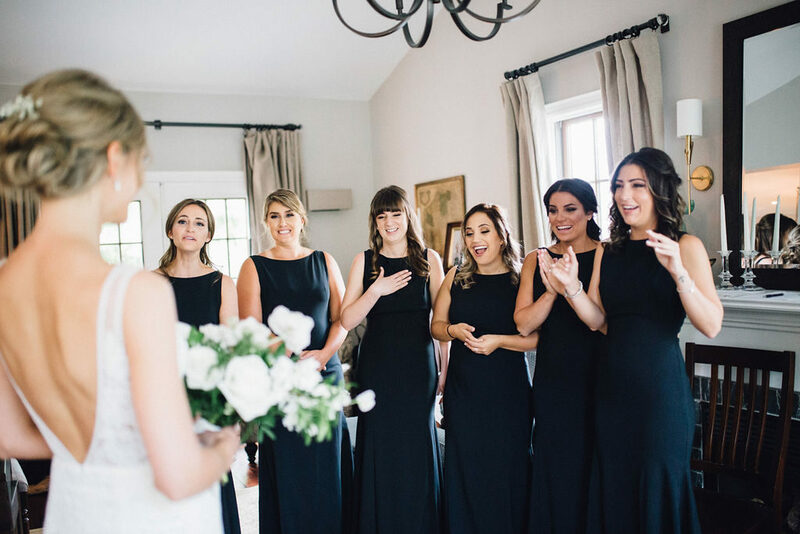 The bride, Heather, was extremely thoughtful in all of the details she planned for her day. 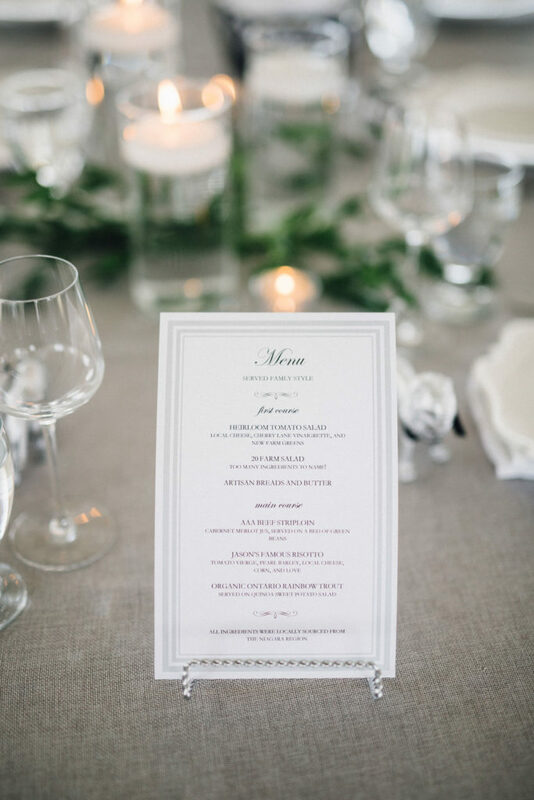 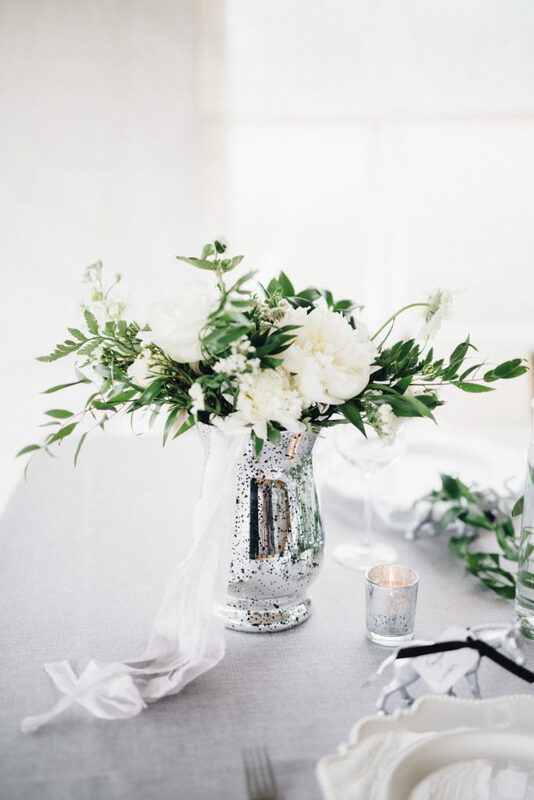 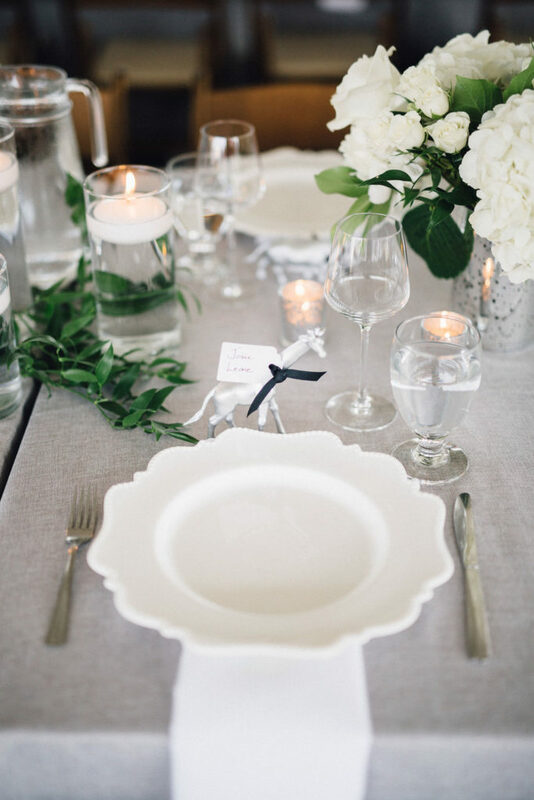 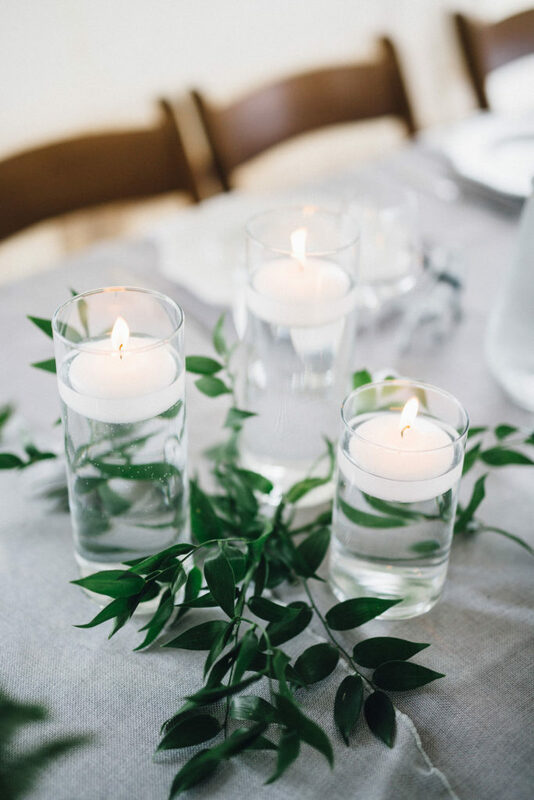 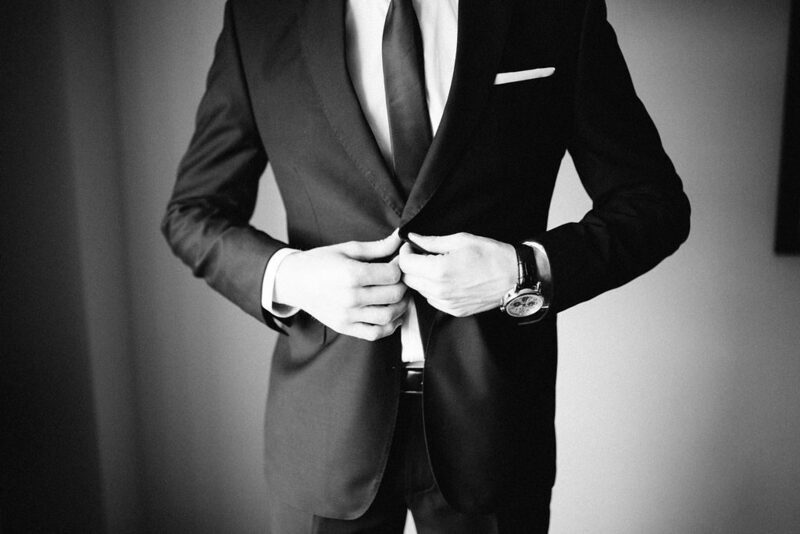 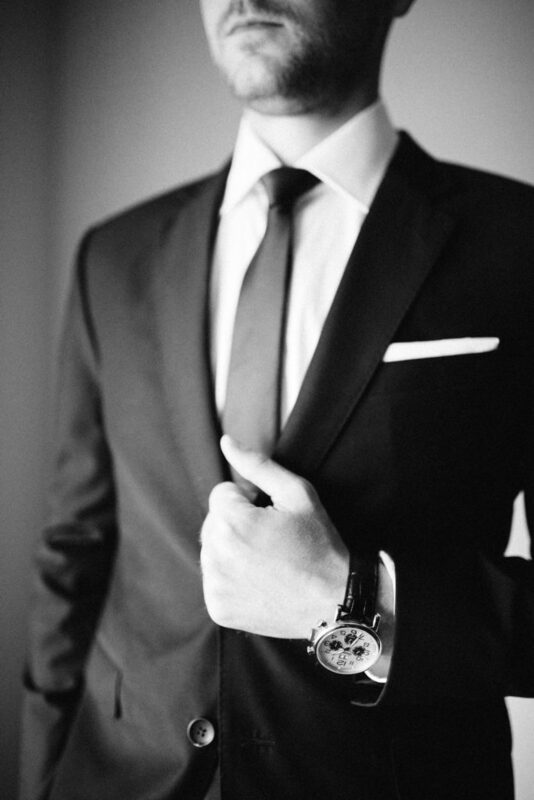 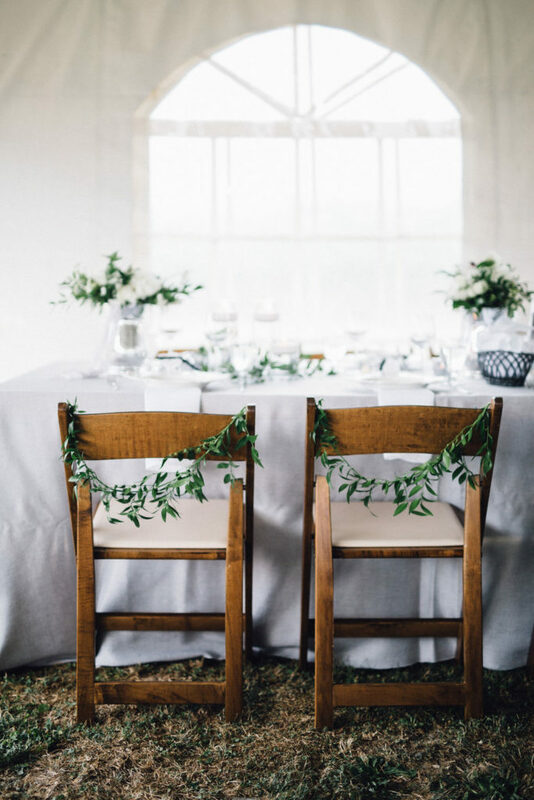 The classic black, white and silver/grey colour scheme carried from the florals, through to the attire, and the table settings. 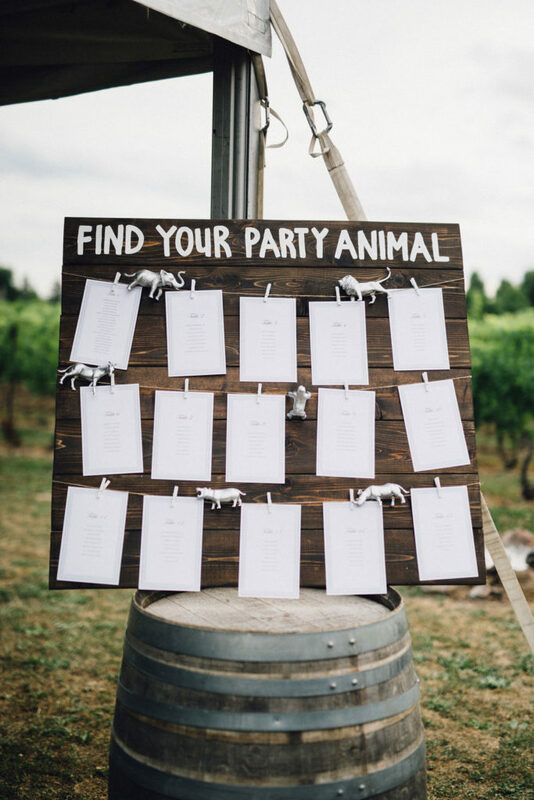 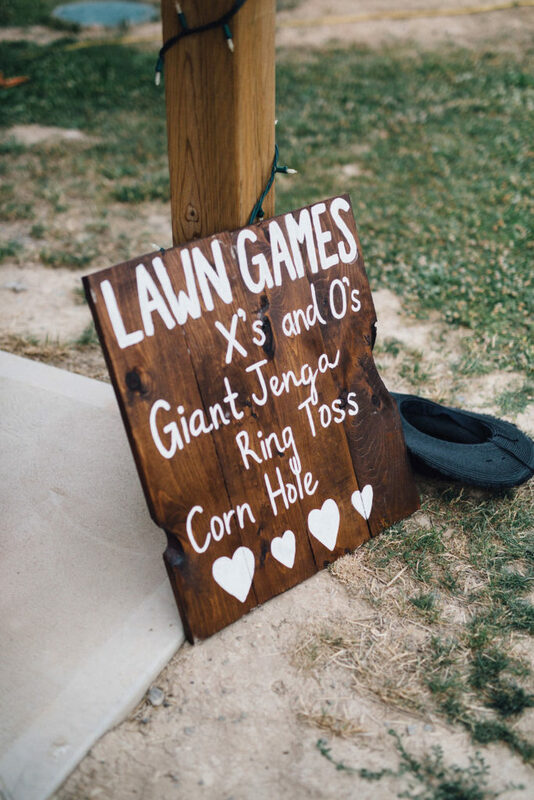 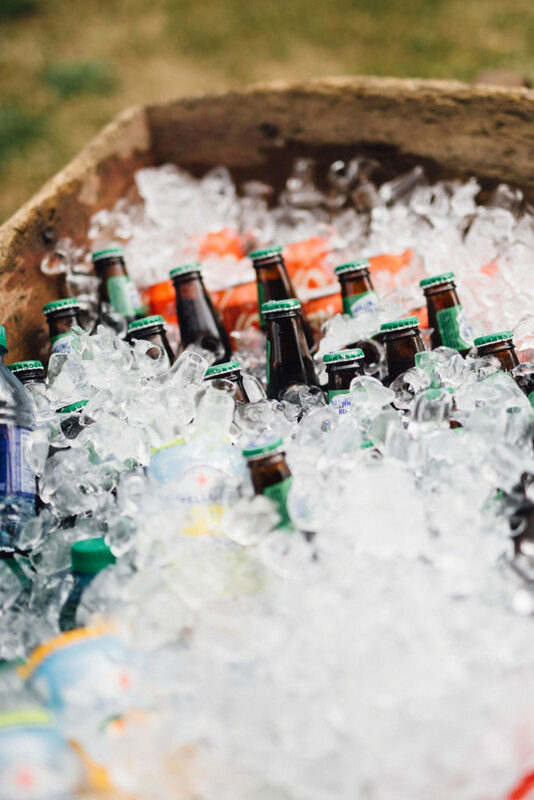 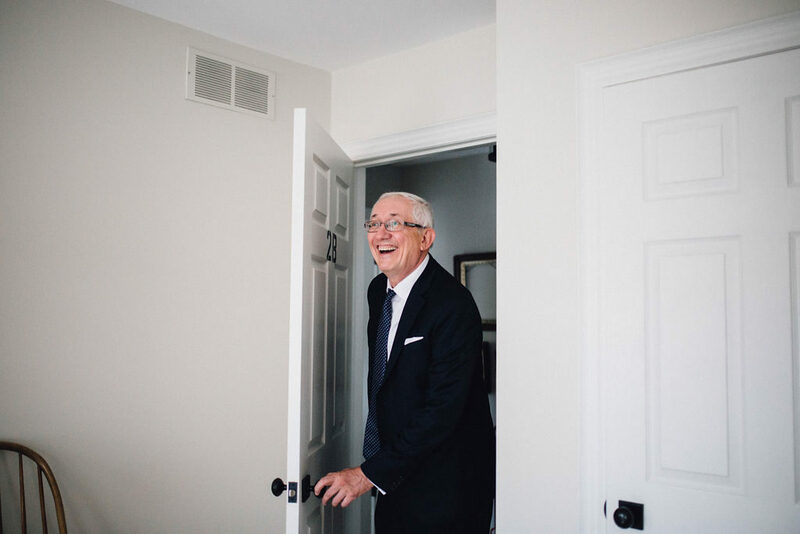 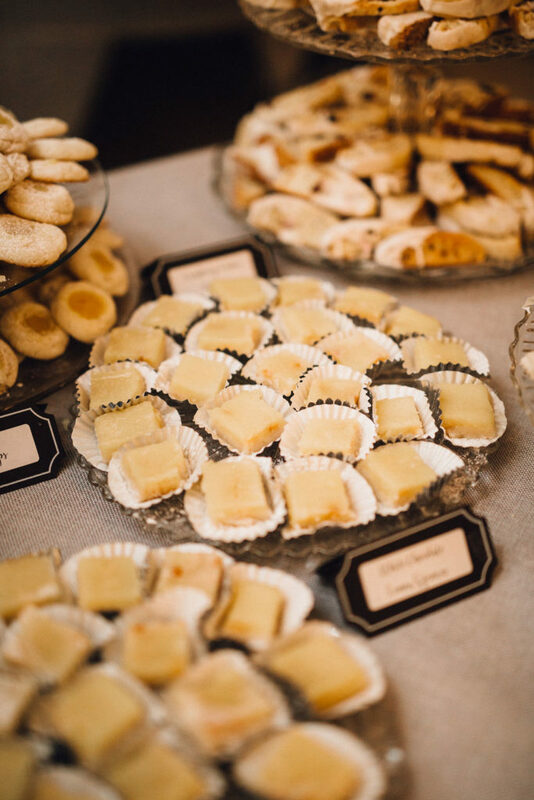 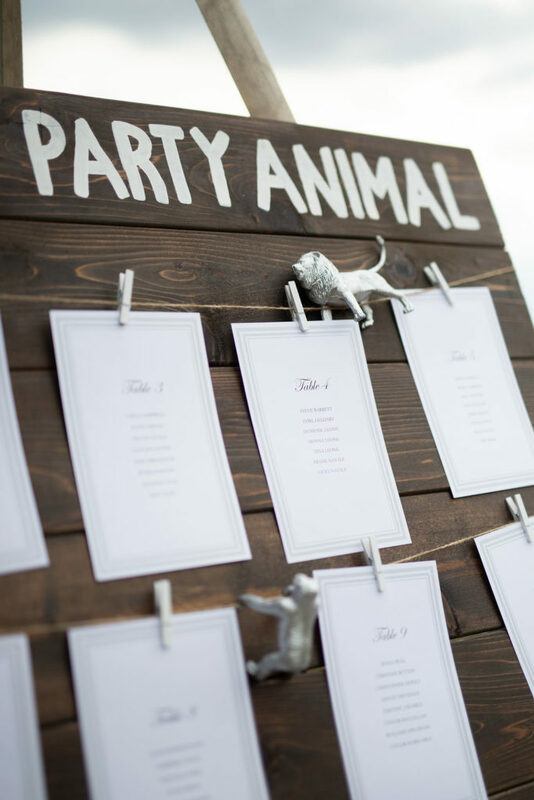 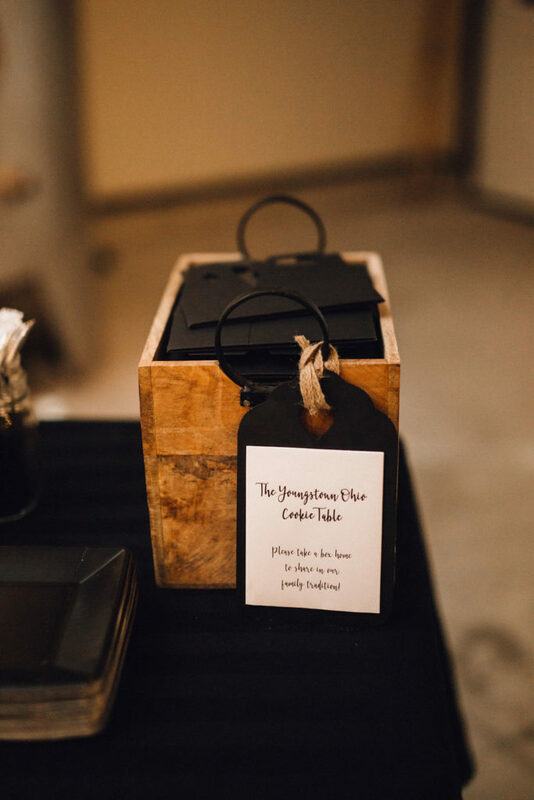 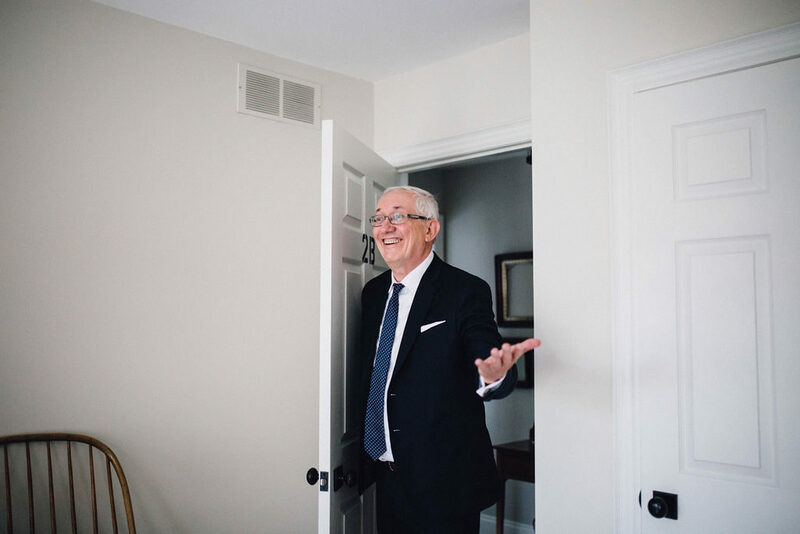 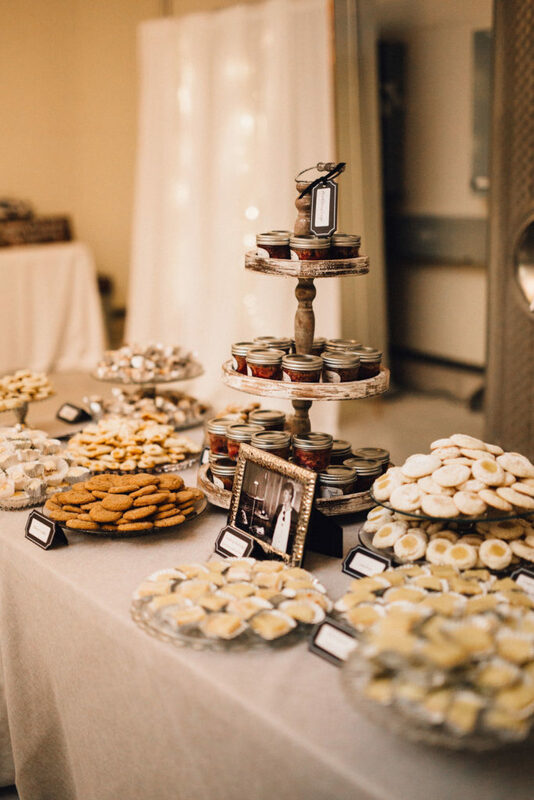 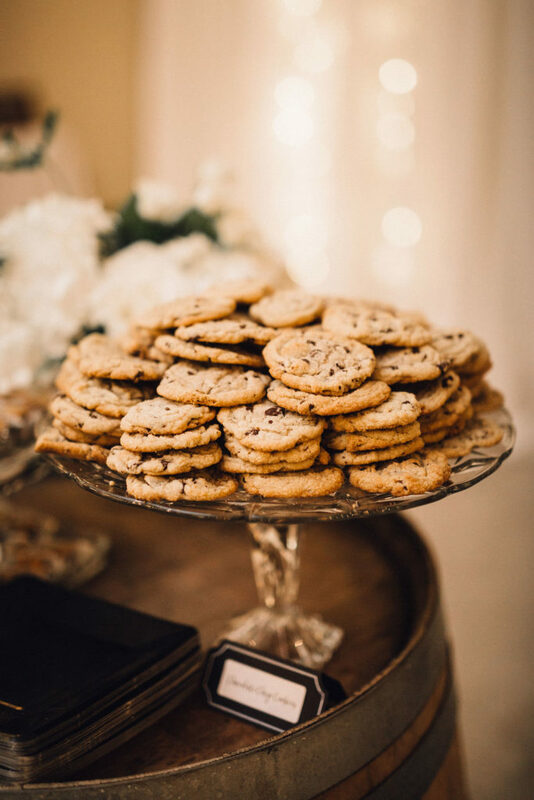 So many fun and personal details were included, like a beer barrow and lawn games for cocktail hour, “party animal” place cards, and the after-dinner “Youngstown cookie table” – a tradition from when the family lived in Ohio. 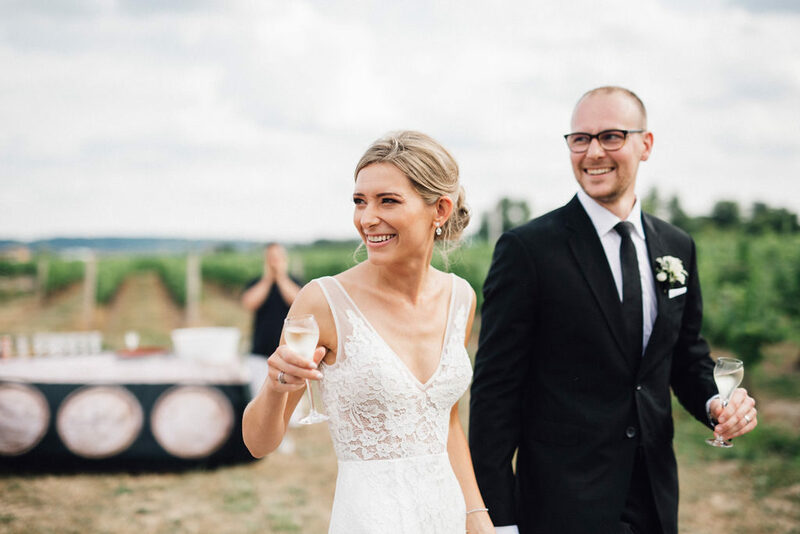 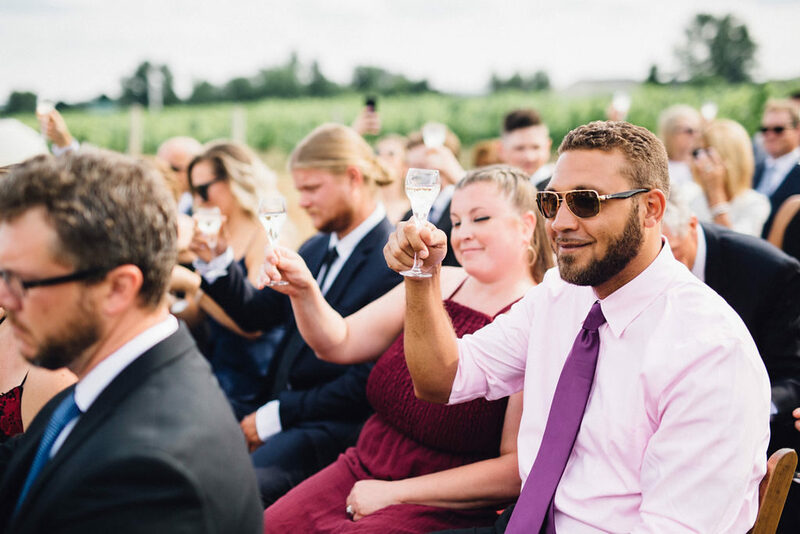 A highlight – and definitely my favourite new wedding tradition – was the champagne toast during the ceremony! 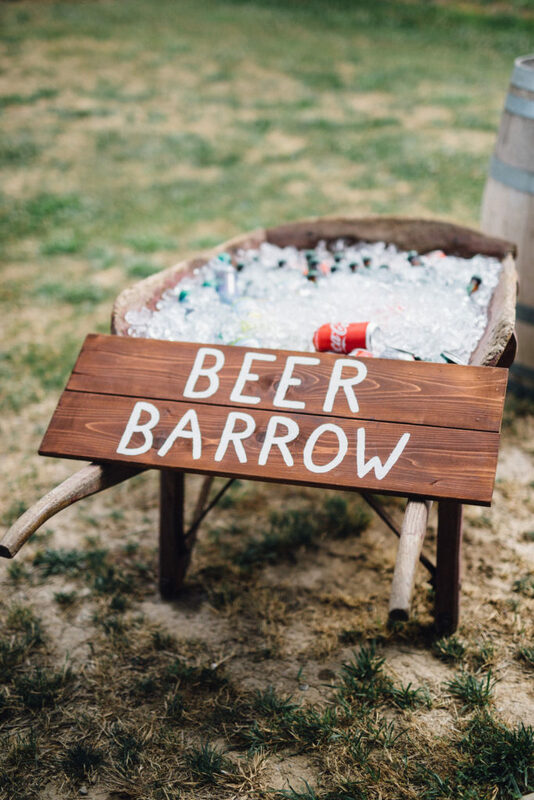 Seriously, the best idea. 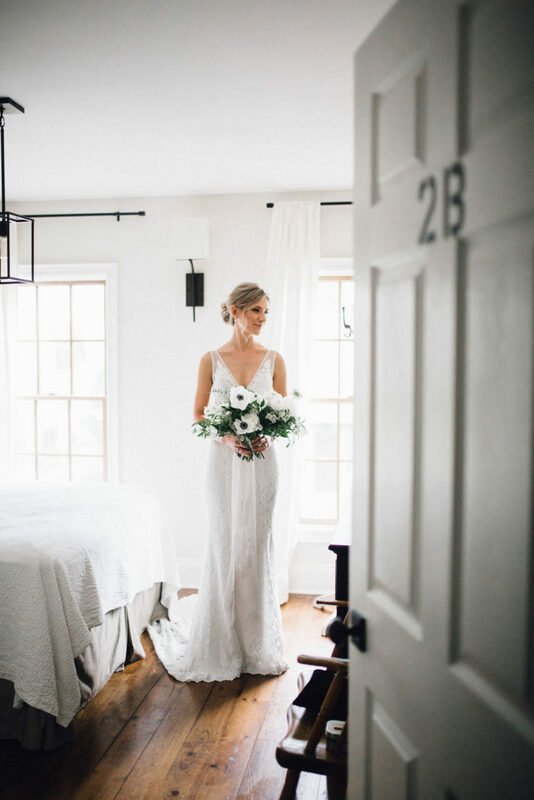 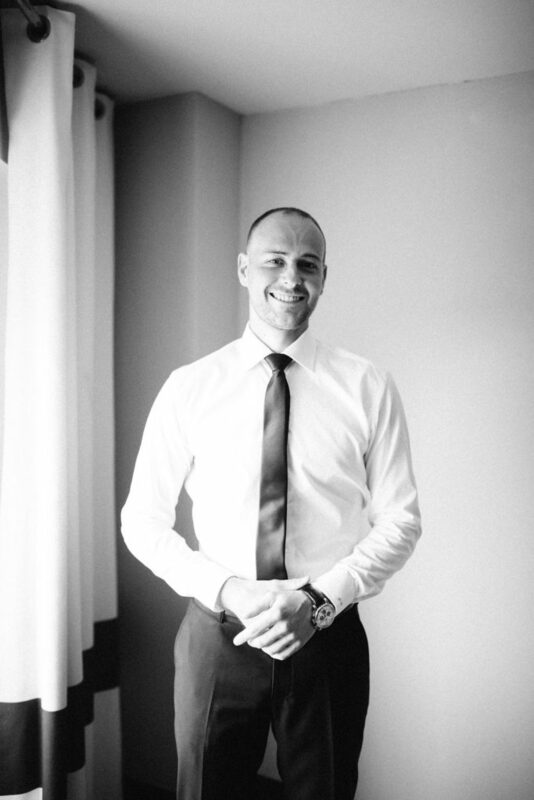 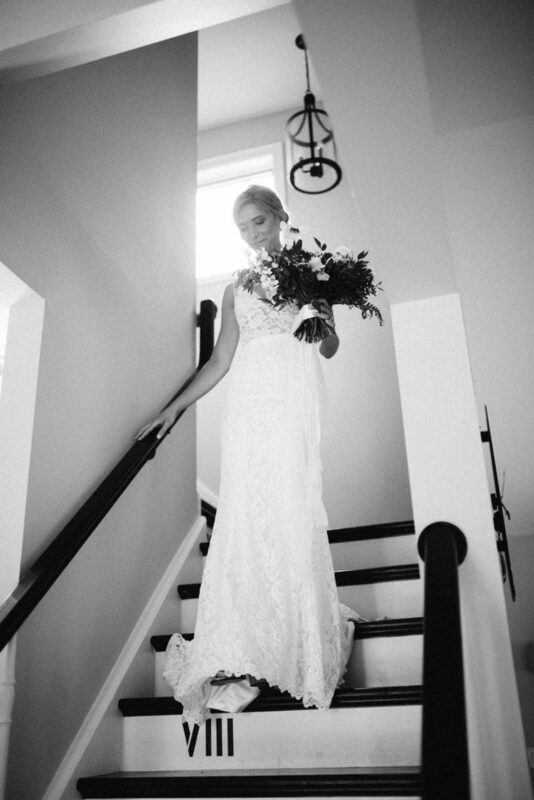 As always, I was so happy to have Simply Lace Photography on hand to capture all of the magic. 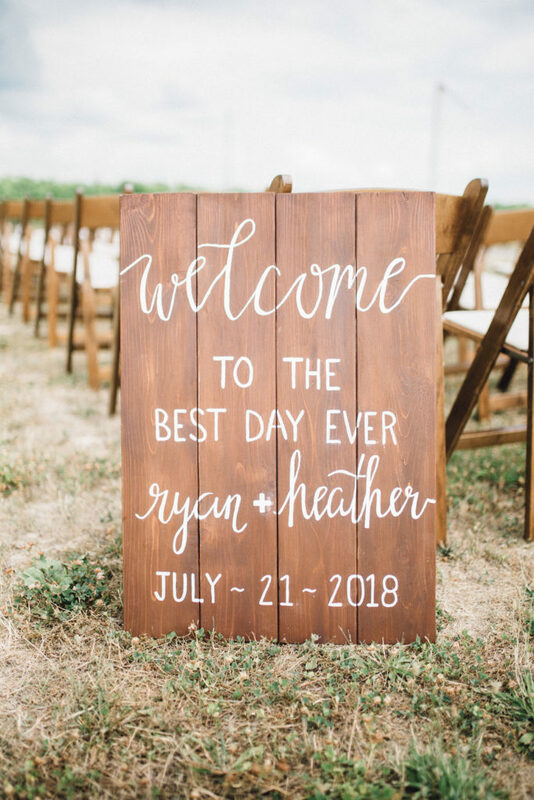 Thank you Heather & Ryan for including us in your day!